Even calibrating for a faulty memory, when I arrived in the former Czechoslovakia in 1990 I remember it being a wasteland for food. 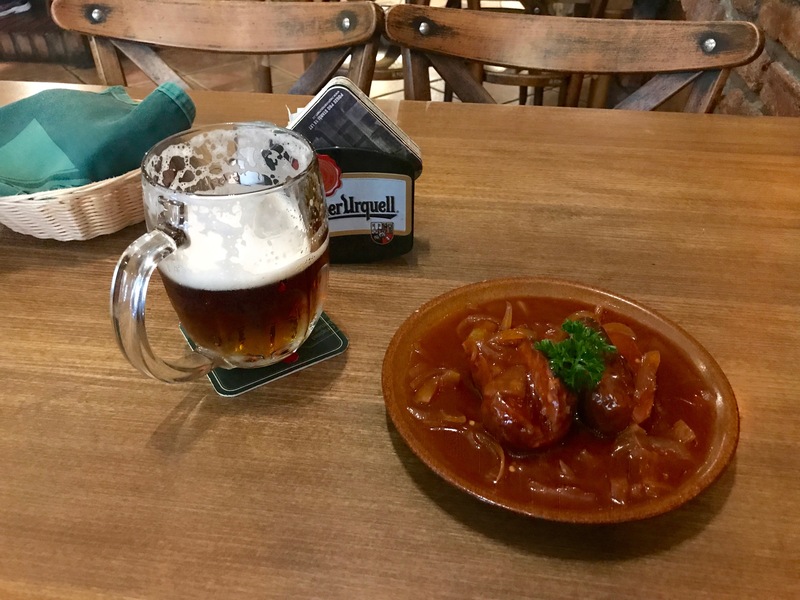 Fantastic beer, to be sure, but also stale bread topped with indigestible lumps of grisly meat; dumplings that could have been used as cricket balls; and sauces so uniform that every dish tasted exactly the same. This experience is only topped by my memory of trying to find something edible in the now equally defunct Yugoslavia. 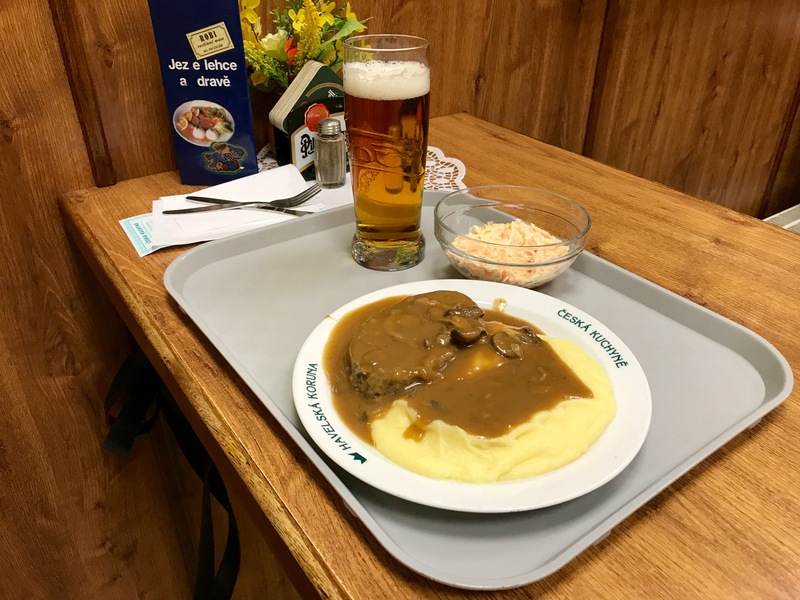 I was eager to discover what the intervening twenty-seven years had done to Czech food. 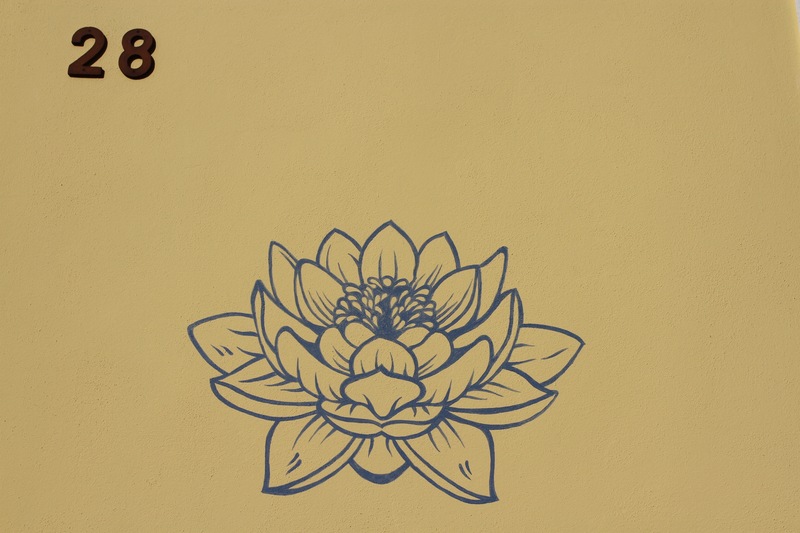 Was it undergoing a renaissance? 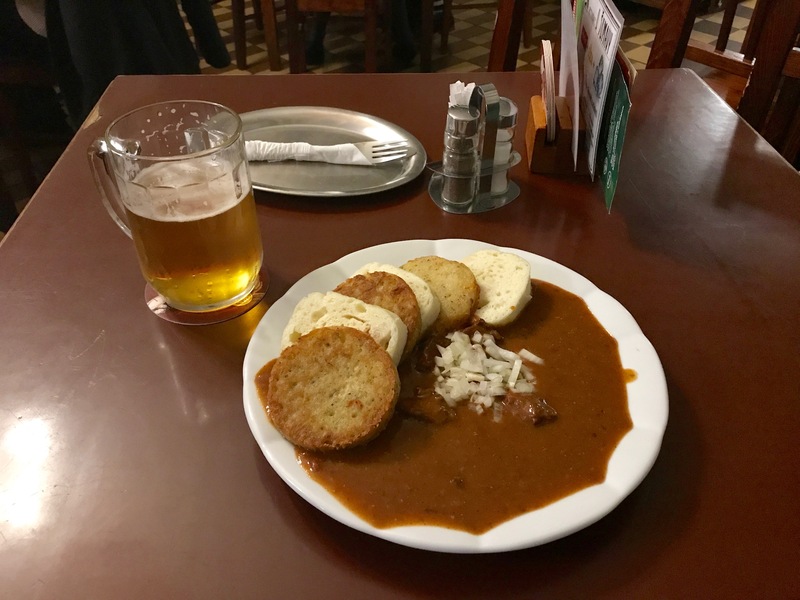 Could goulash and dumplings be the next big thing on the international culinary scene? Why was every restaurant obsessed with listing the weight of each meal on their menus? Not calories, meal weight. 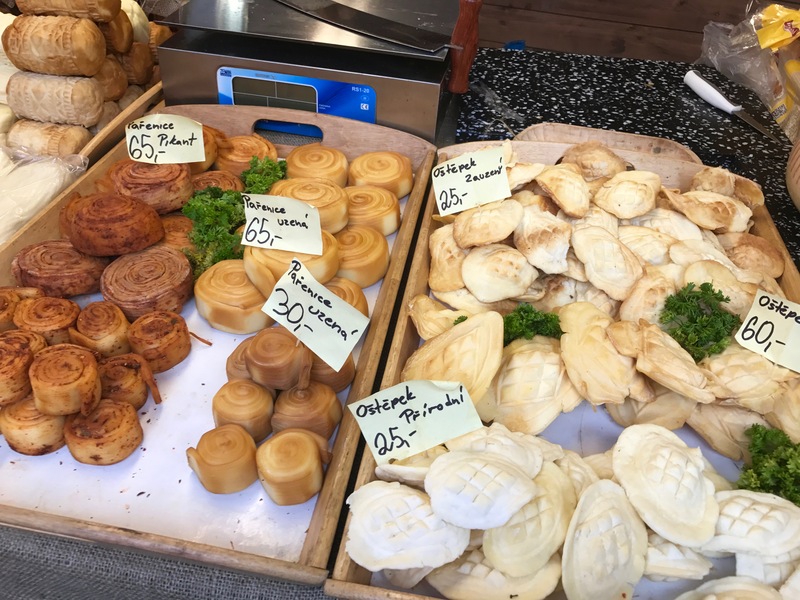 How had Czechs survived without the vitamins and minerals from vegetables? Not forgetting the big question, how many dumplings can one person eat in a week without actually becoming one themselves? 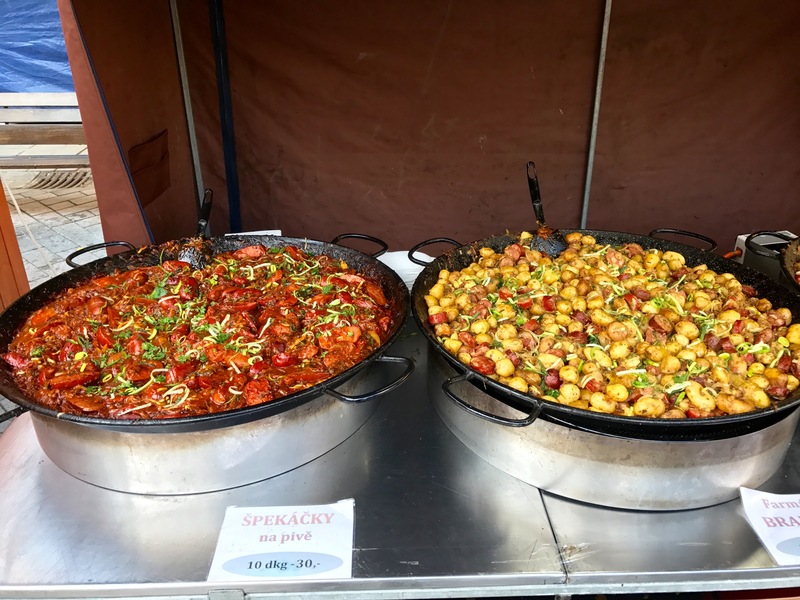 No one comes to the Czech Republic to lose weight. A steady diet of dishes swimming in brown sauces, large pieces of pork and a disconcerting lack of vegetables seemed to be the norm. Even when I made an effort to order vegetables, they came lightly fried with bits of pork mixed in for extra saltiness. 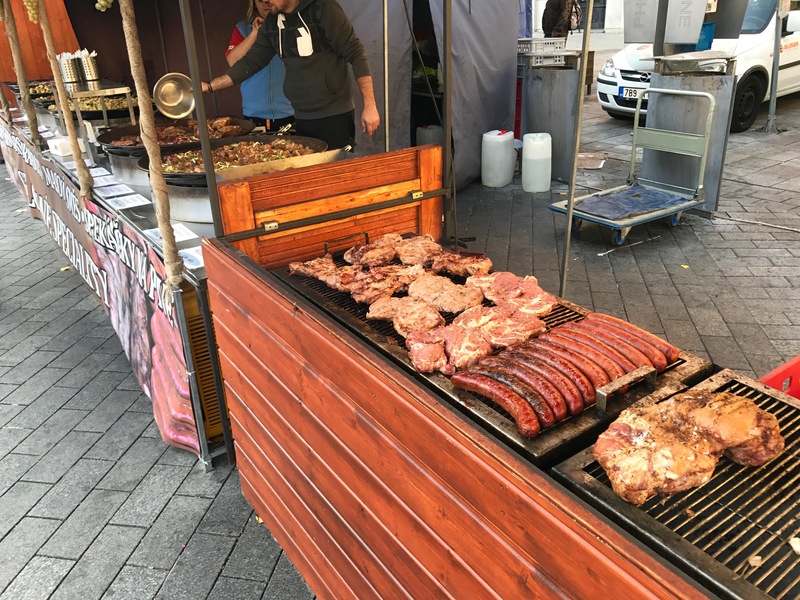 The Czechs rival the Spanish for their love of putting pork in every dish. I didn’t eat a single meal that was more than lukewarm. All-in-all, I think this was an improvement on my previous experience. Much of what I remember from 1990 remains true today, but the food is now of a much higher quality and generally very tasty. 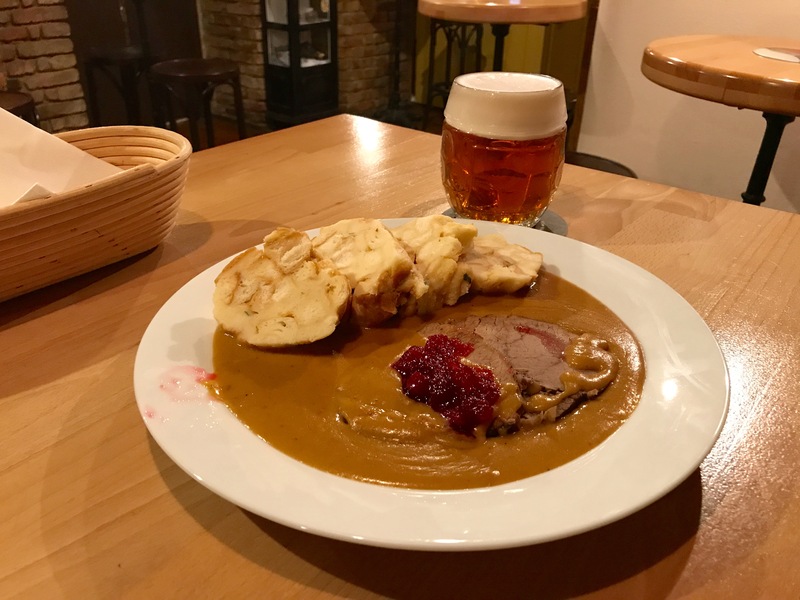 My favourite meal came in a traditional self-service restaurant in Prague. You collected a tray and a piece of paper and then did a tour of the food counters, anything you ordered was marked on the paper form. There were tourists, Czech businessmen, school groups and families all enjoying the strange eccentricity of the experience. I stood at a counter to eat like a local. 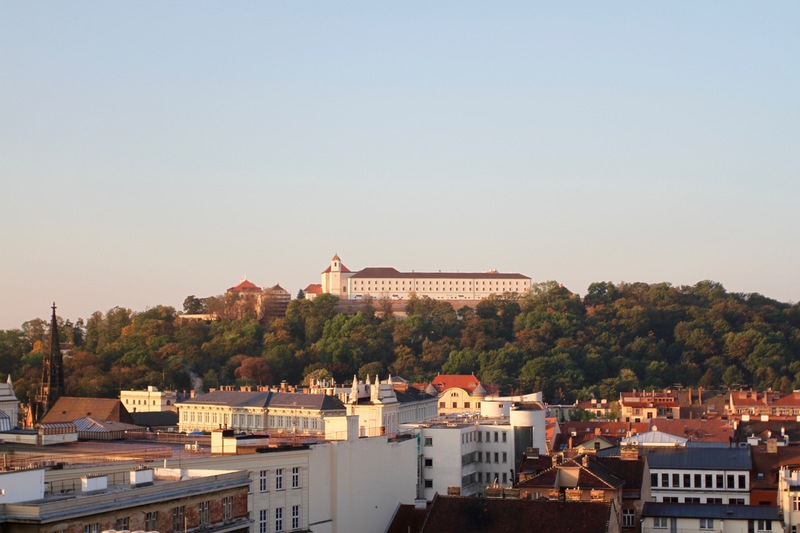 Prague in particular has a thriving international food scene. It’s possible to slip into an oyster bar for a some slimy mollusks washed down with a glass of champagne; have an authentic(ish) Indian curry; or pretend you’re in Latin America while eating delicious Peruvian ceviche. I even saw a vegan restaurant. There are more pizza restaurants than you can count, and the ‘full English breakfast’ is served in far too many places in my opinion. Times really have changed. One of the nicest things about this trip though, was the number of food festivals, and street food opportunities there were. Often this was part of a wine or beer festival, which seemed to be a theme as I travelled around. 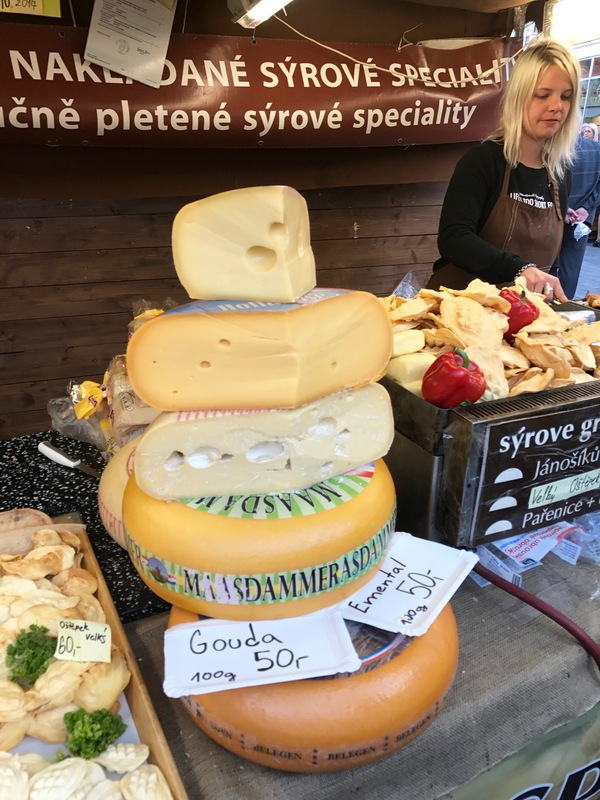 It would be fair to say there wasn’t much diversity beyond pork-related treats, but in Brno I came across a variety of traditional dishes and some artisanal cheeses. I also came across a large mound of Dutch cheese. An exotic import? Perhaps the biggest change is the multitude of fast food places. Like everywhere else on the planet the international burger and fried chicken chains are legion, and seem to have interbred to produce a range of local hybrids. The smell of old oil frying dodgy chicken products is all too common. 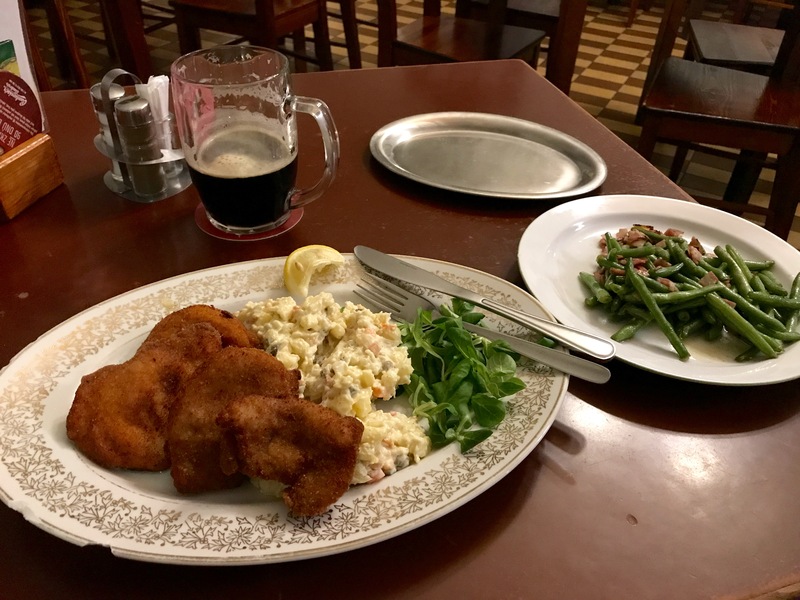 Despite the sense of repetition with every meal I seemed to order, I largely stuck to eating in traditional Czech restaurants. 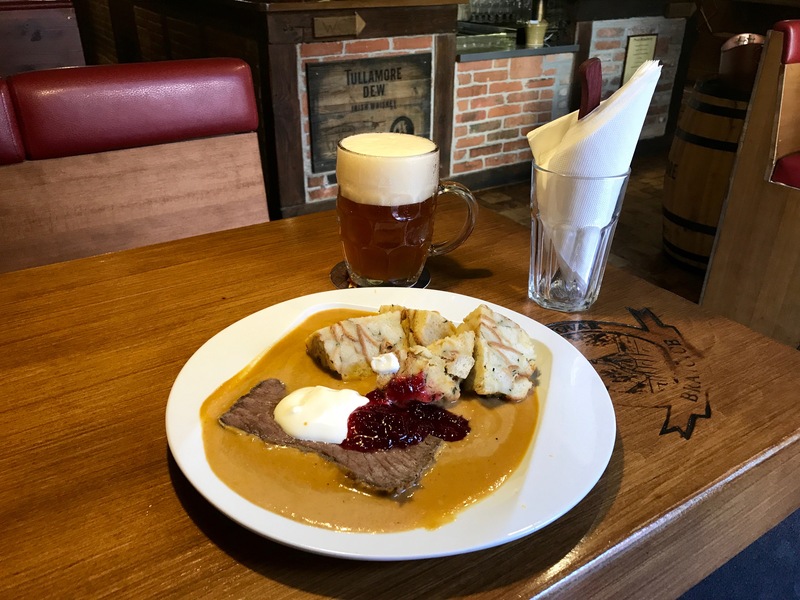 You can’t really go wrong with the local dish of the day washed down with a beer. Although I learned my lesson when, in desperation, I asked for a tomato and onion salad to accompany one meal. The tomatoes and onions arrived in a soup bowl, floating in a sweet liquid. 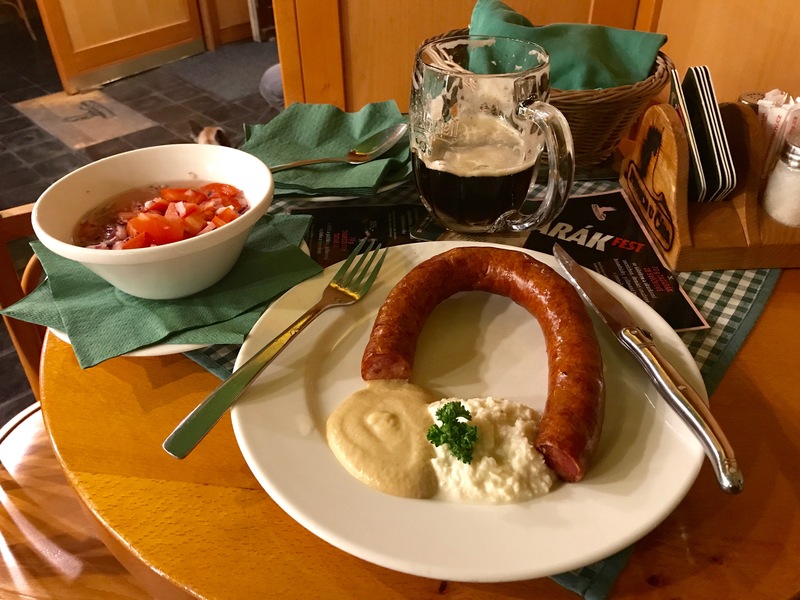 When in the Czech Republic, do as the Czechs do, and don’t order tomato salad. 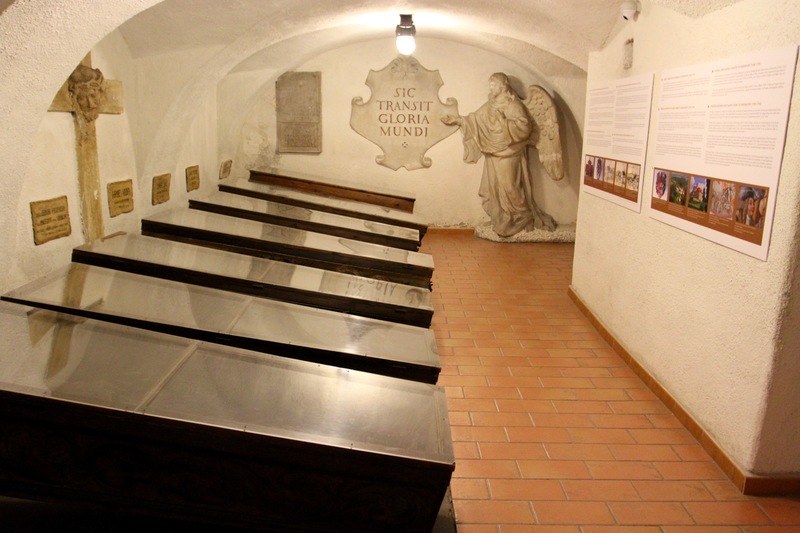 Brno is home to a number of weirdly appealing underground attractions. 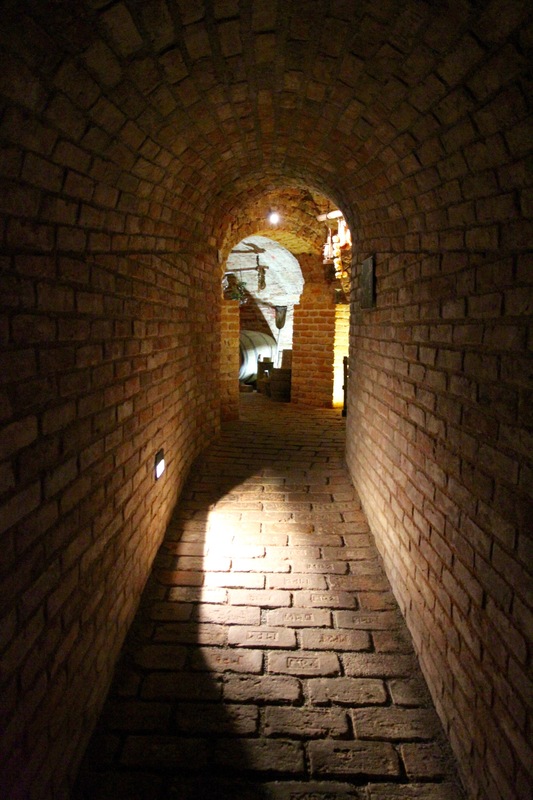 The labyrinth of tunnels underneath Brno’s Cabbage Market came highly recommended, and was my first port of call for an afternoon spent exploring underneath the streets of the Czech Republic’s second city. 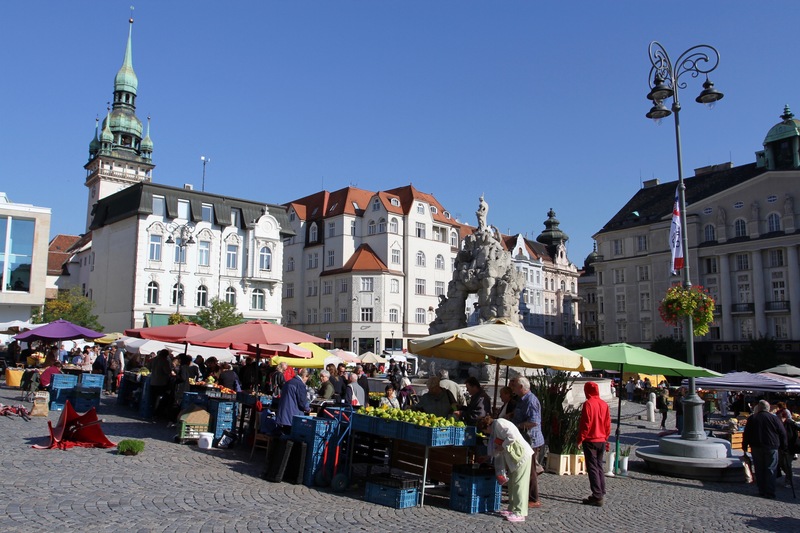 The Cabbage Market has been a fresh produce market for over eight hundred years, and was originally known as Horní trh, the Upper Market. Walk through it today and you can still find people selling fruit and vegetables surrounded by beautiful 19th century buildings. 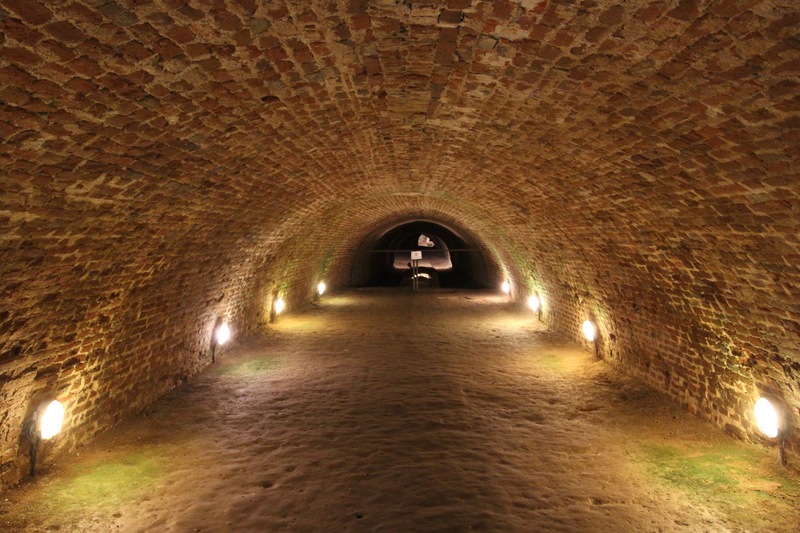 As you wander through the square you’d never know that a mere eight meters, or 272 steps, below the Cabbage Market exists a vast network of tunnels. 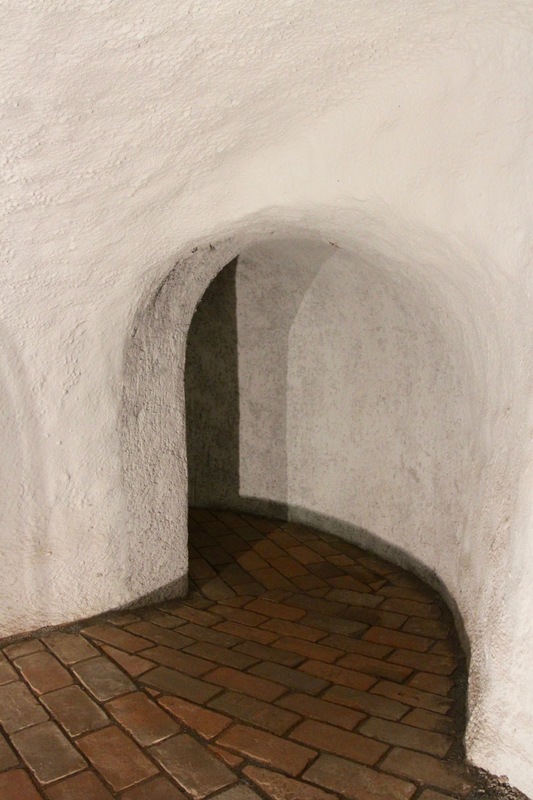 They began life as simple cellars beneath people’s houses, but over the centuries they were expanded to become something of a mini underground city. 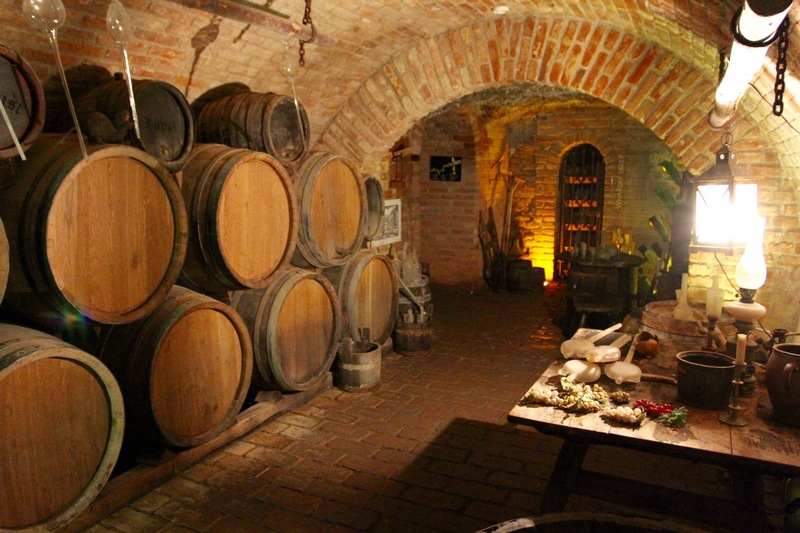 Food, wine and beer were stored in the tunnels, and people worked, ate, drank and slept down here. 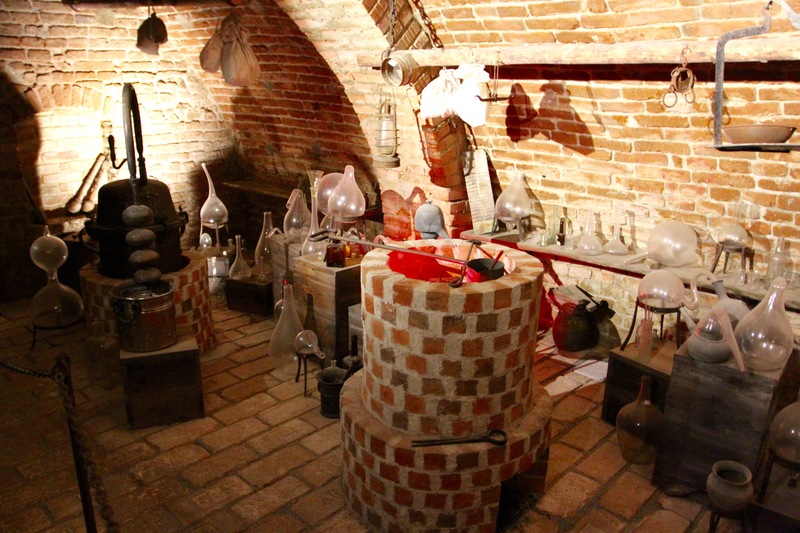 There was a tavern, and even an alchemist’s laboratory. The tunnels expanded so much that you could drive a horse and carriage through some of them. The entrance to the tunnels is through a unprepossessing doorway tucked away on one side of the Cabbage Market. I bought my ticket and headed downwards. A small group of Czechs and three young British people, who seemed to have ended up here after losing their way on a Prague pub crawl, were waiting for our guide to arrive. The tour’s in Czech but comes with an audioguide. 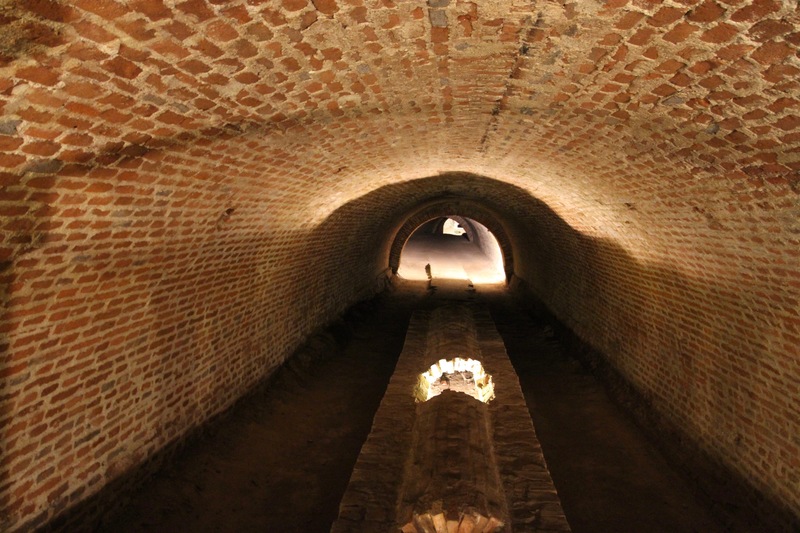 Tunnel depth is normally between six and eight metres, but the lowest point is 12 metres. At this depth, groundwater bubbles up into the tunnel and needs constant pumping. The tunnels are fascinating and the tour takes you through typical scenes of medieval life in rooms carved into the sides of the tunnels. We meandered up and down, left and right, and by the end I was completely disoriented. 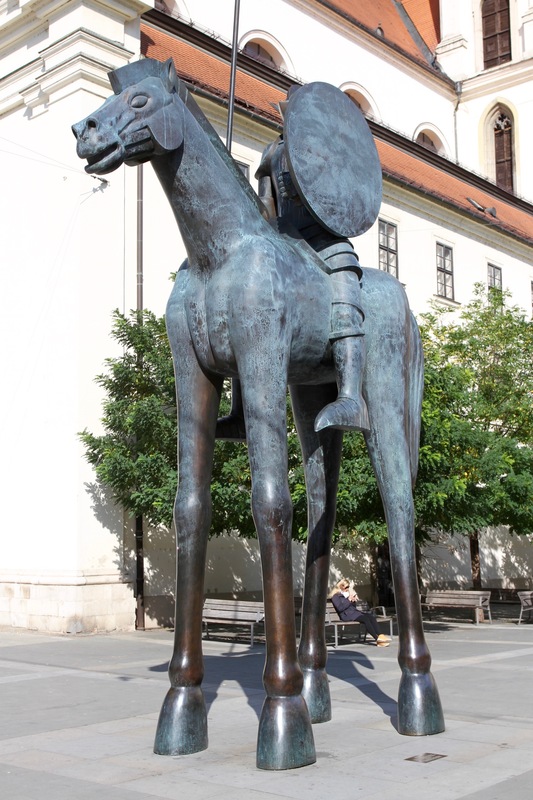 I learned a lot about the history of Brno, but for some reason the information that I retained was that in the 14th century a litre of Moldova wine would have cost you a chicken or twenty eggs. A litre of Italian wine cost three chickens or two hares. That’s quite a lot of chickens for not much wine. I don’t know why I thought it would be any different, but when we emerged out of the tunnels we were in a completely separate part of the Cabbage Market from where we entered. I could almost feel the light bulb going on above my head. So far so good. Next on my list of underground activities was only a short walk away. 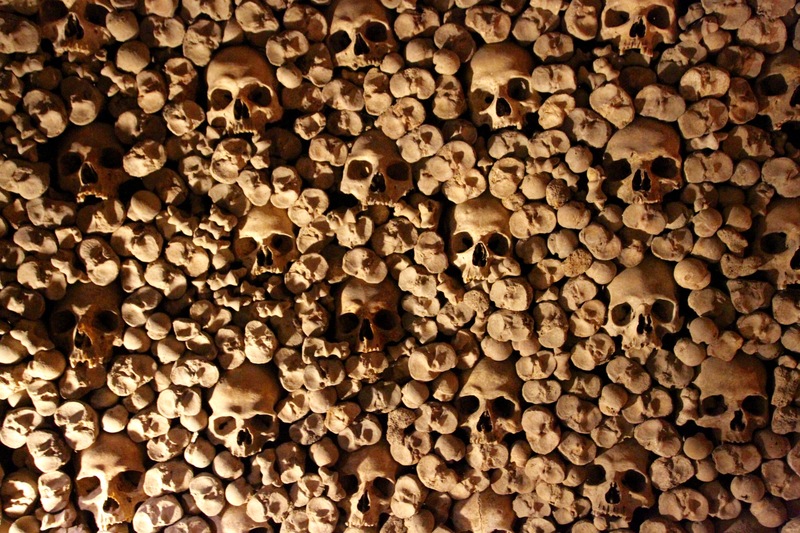 The Capuchin Crypt is, quite honestly, freakishly bizarre…and not for the squeamish. 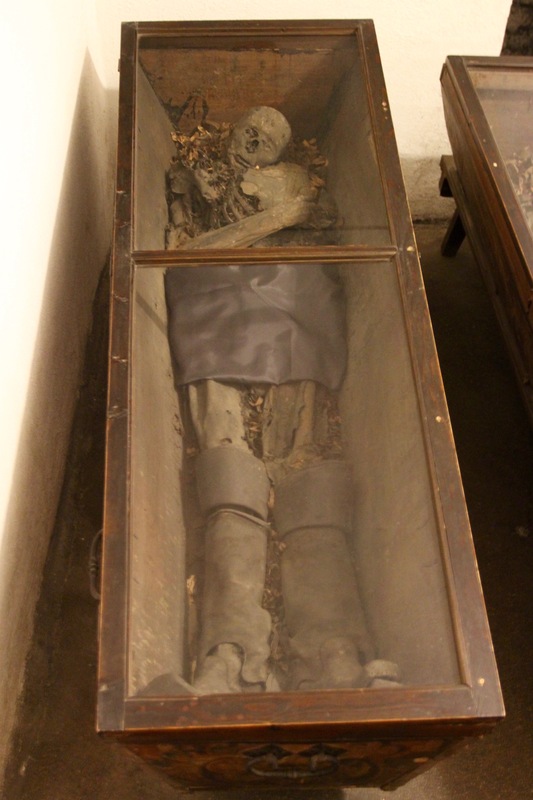 The monastery that has been on this site for centuries buried their dead underground, but no one knew that a system of air holes was mummifying the corpses. 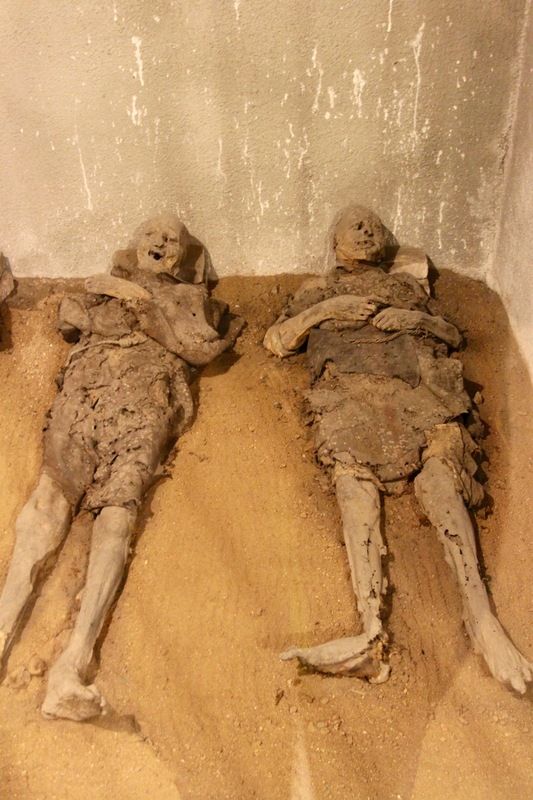 There is a sign hanging over the remaining desiccated corpses of the monks which reads, “We were once like you, and one day you will be like us.” Which, after you’ve seen them, sounds more like a threat than a statement. I took it as a reminder, if one was needed, to enjoy myself while I still can. 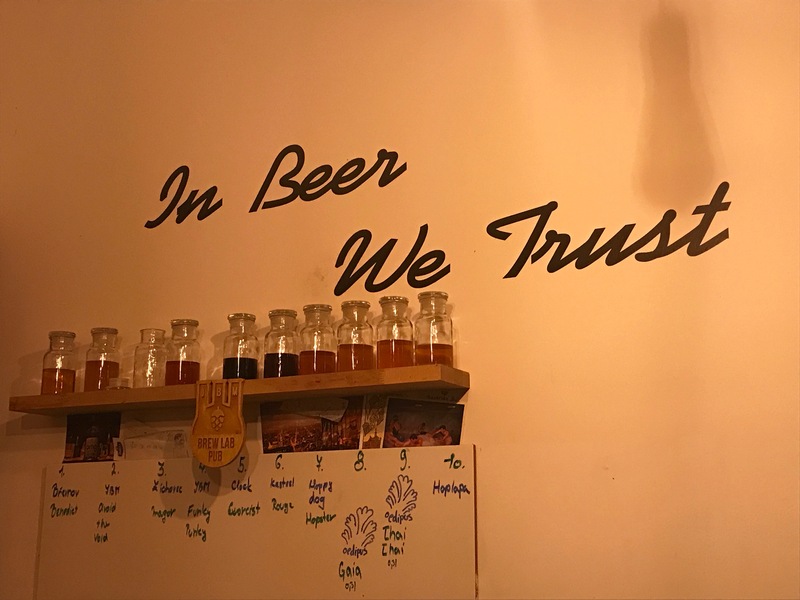 There and then I made a plan to visit one of Brno’s famed subterranean beer cellars for a farewell drink to a city that had not only defied expectation, but had made me question existence. Back at street level I headed towards the Ossuary of St. James’ Church. 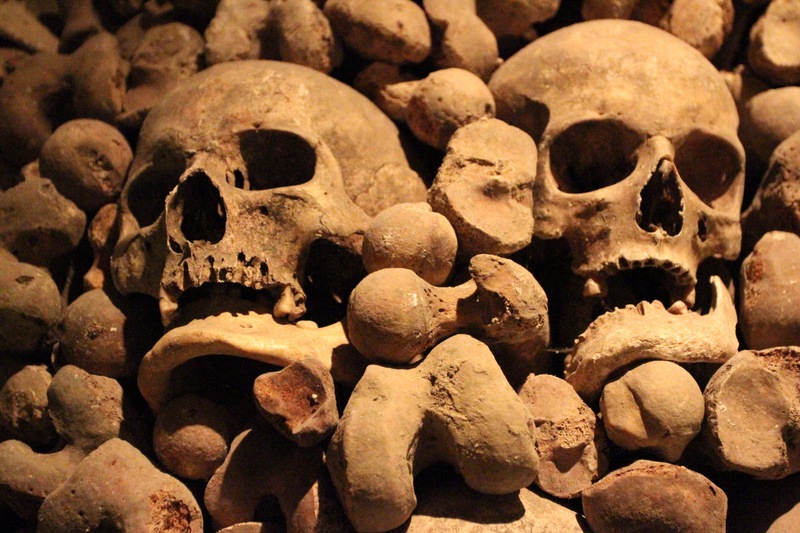 One of the most extraordinary sights in the city, this underground burial site houses the skeletal remains of 5,000 people, although this is only a tenth of the number of corpses found here in 2001. 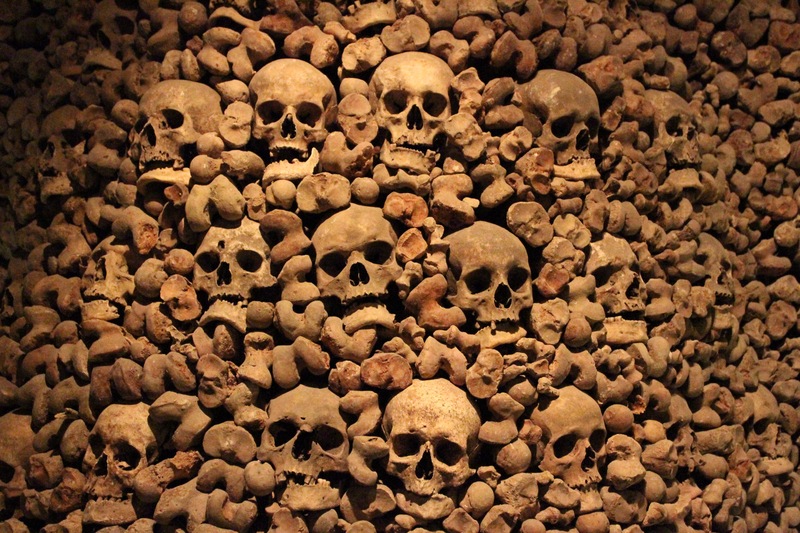 The remains of approximately 50,000 people were once buried here, making this the second largest ossuary in Europe after the one in Paris. 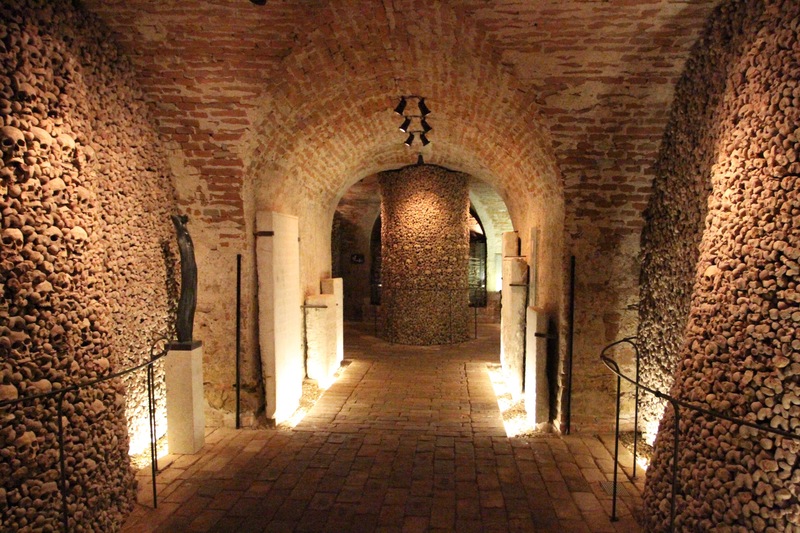 Amazingly, the site had remained undisturbed since the Thirty Years’ War in the mid-17th century. 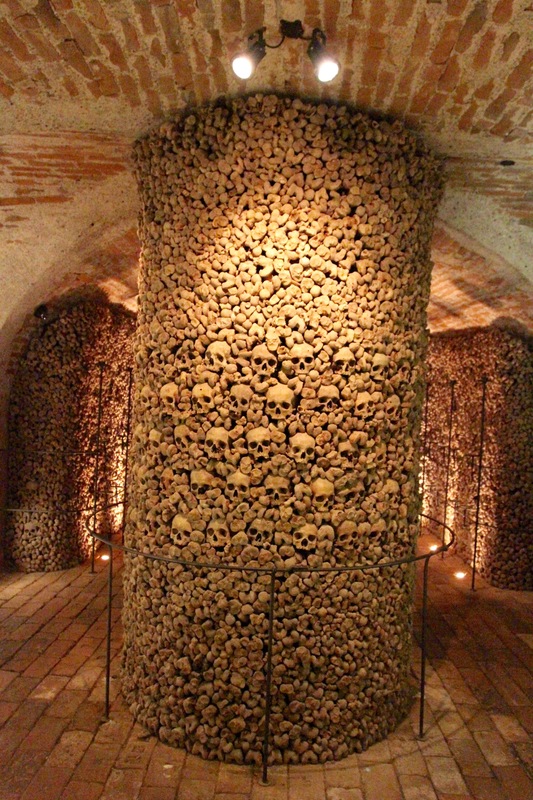 The thing about the ossuary is that, despite the thousands of people buried in it, once it was closed to further burials it was forgotten. 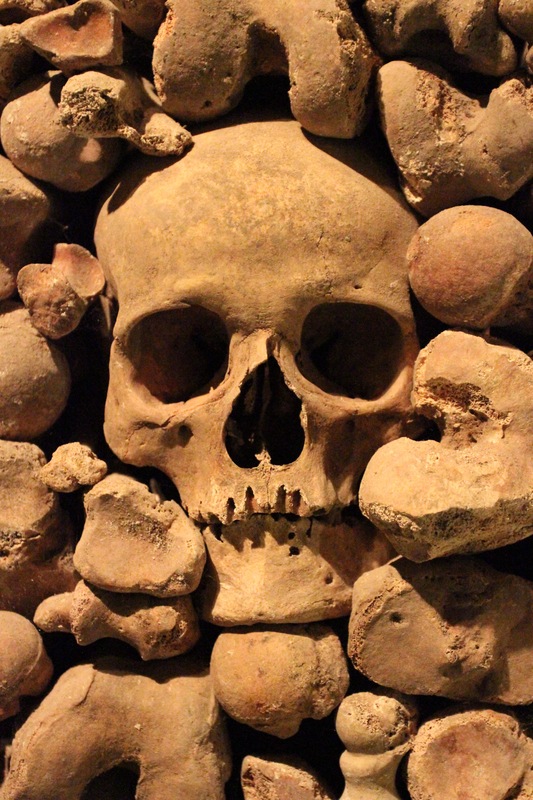 Life went on above ground unaware of its presence underground for centuries. Then, in 2001, a redevelopment of the square that surrounds the church of St. James unexpectedly unearthed this vast burial site. 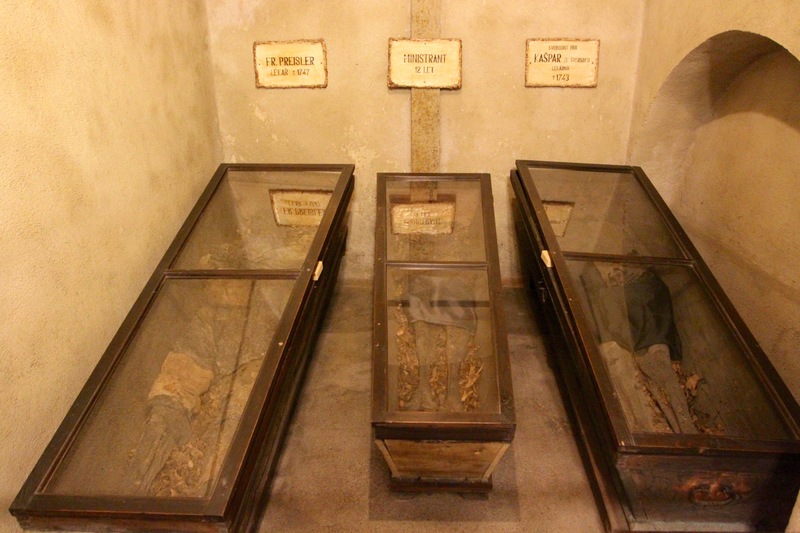 Analysis of the dead showed that many died of natural causes, some from warfare, and others from plague and cholera epidemics. 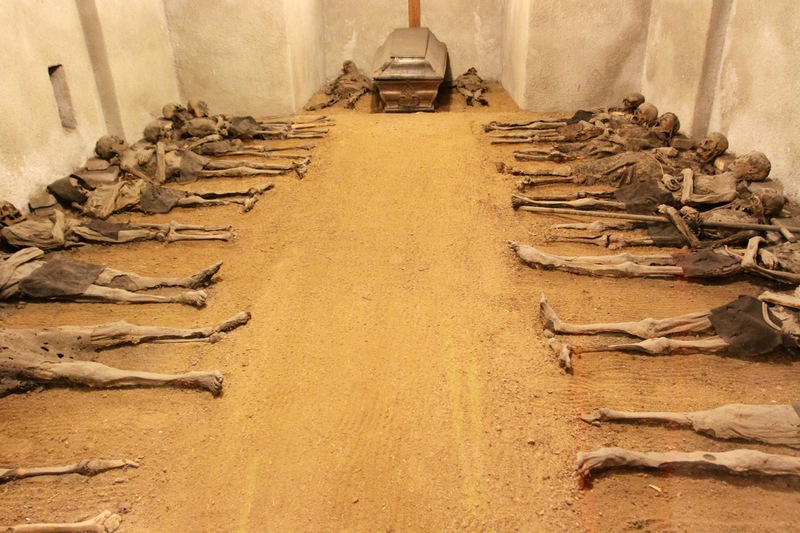 The site was excavated, cleaned up, and turned into a visitor attraction. 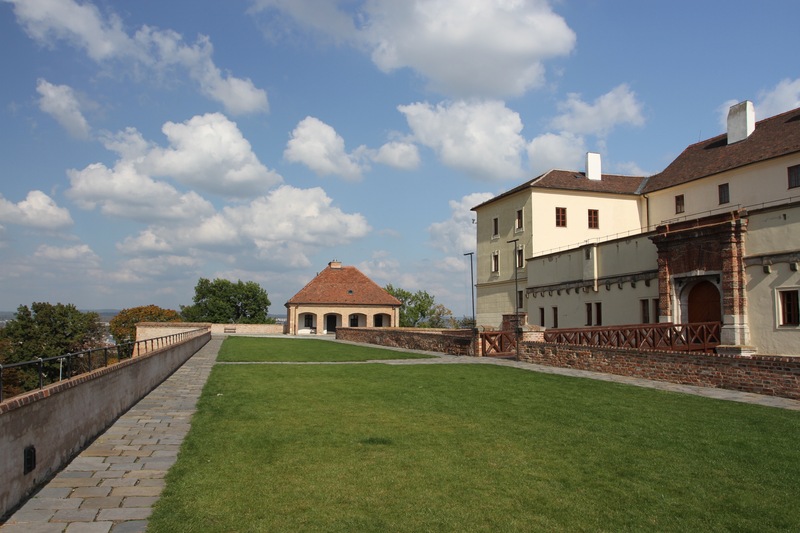 To say Špilberk Fortress has seen a lot of history is a bit of an understatement. 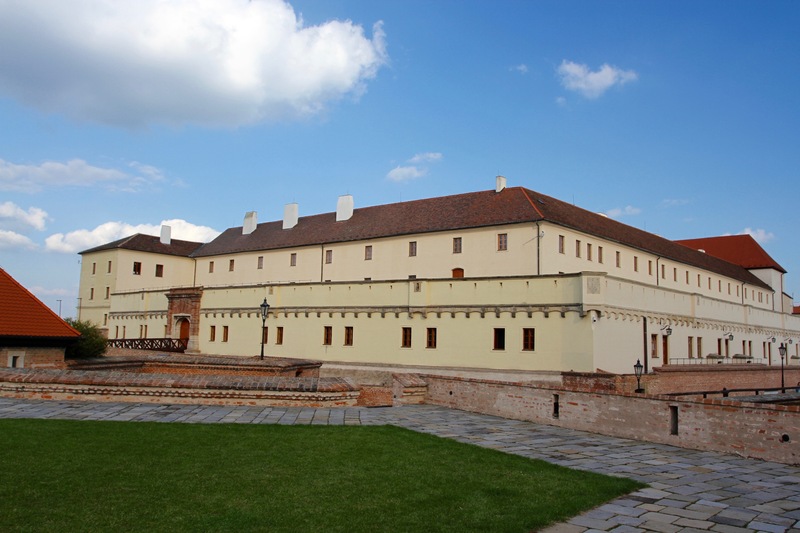 Even if you knew nothing of European history, the size, grandeur and dominant position of the fortress makes it clear that it had a vital role to play in the fortunes of the country. 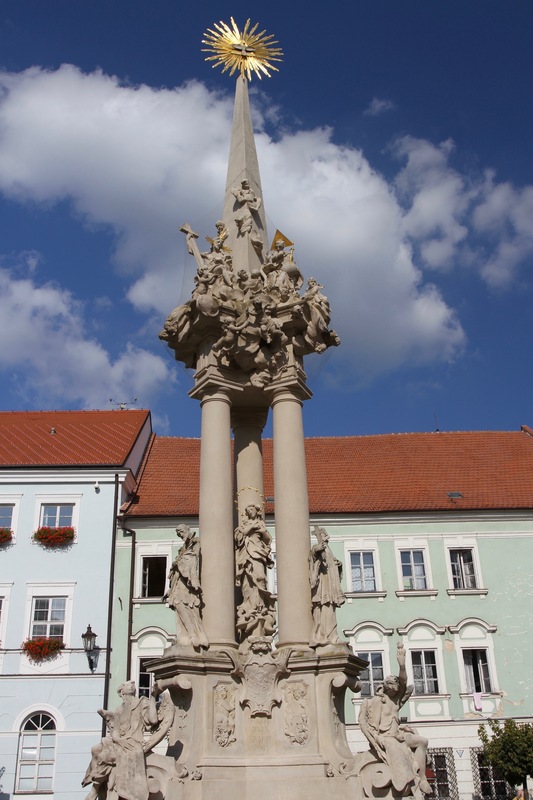 In 1428, it was besieged by Hussites as the Protestant Reformation brought religious war to the region. In 1645, during the Thirty Years’ War, the Swedish army tried to capture it and the city. The 1740s saw it play a role in the War of the Austrian Succession; in 1805 Napoleon’s armies camped here before his victory at the Battle of Austerlitz. 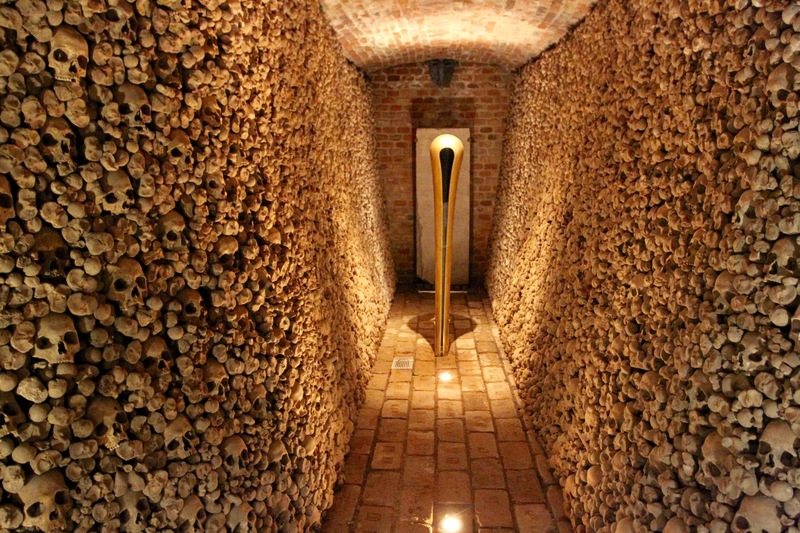 It was also one of the most feared prisons in the Austro-Hungarian empire, infamously known as the “dungeon of the nations“. 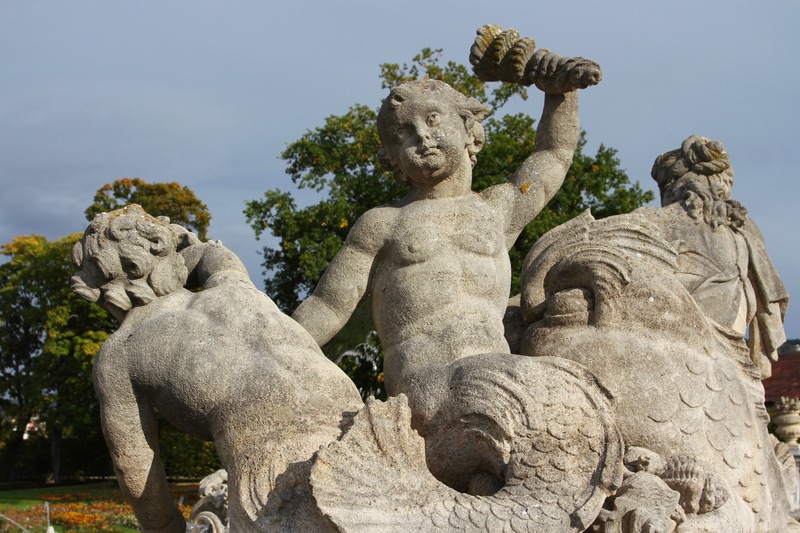 It gained more notoriety during the Second World War. 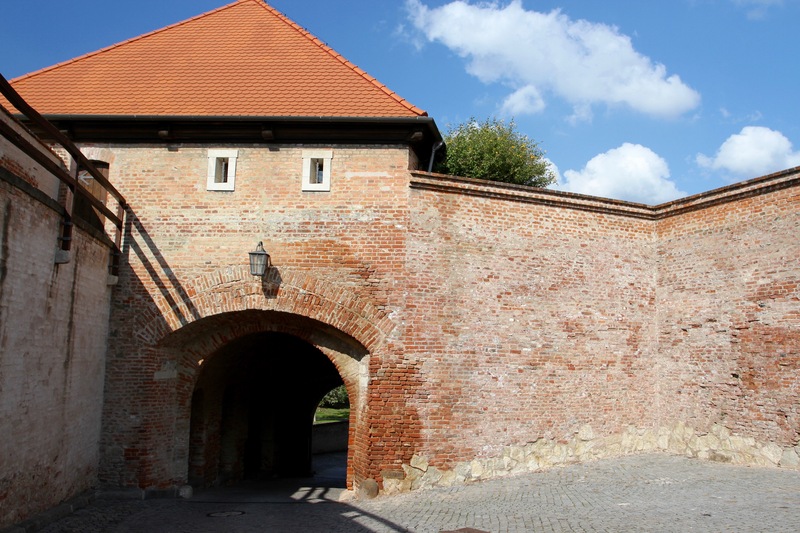 The Nazis used it to house, torture and kill thousands political prisoner; for many others this was a staging post en route to labour camps or concentration camps. 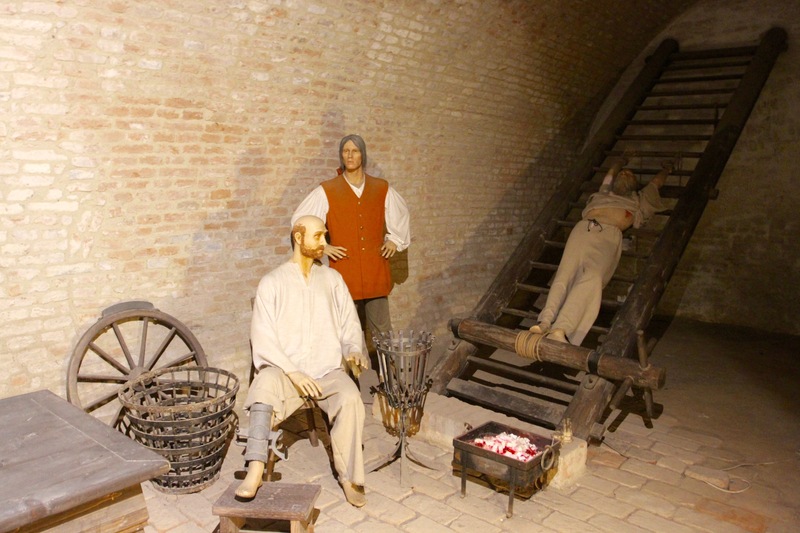 Now the city museum, this violent, brutal history is told through a number of different permanent exhibitions, including an interesting self-guided tour through the former dungeons. First though, you have to get there. I woke feeling a little worse for wear after one too many Czech beers the night before. Luckily, the steep climb to reach the castle blew the cobwebs away. The sun was shinning and the views over Brno were magnificent. The area around the castle is a deservedly popular park, the wooded hillside abruptly ending at the massive walls of the fortress. The experience gave me a sense of what it might have been like to have attacked this hilltop for real. I wandered around the outer walls until I found the entrance and eventually made my way to the ticket booth. 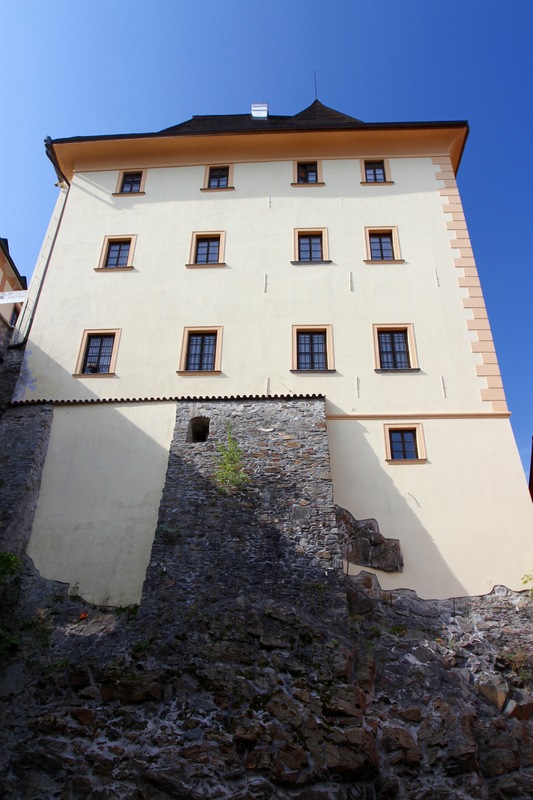 Much of what you see today dates from the 18th and 19th centuries, but the castle dates back to the 13th century. It was a fortress for 500 years until just after the Napoleonic Wars, after which its primary function was as a barracks and prison. 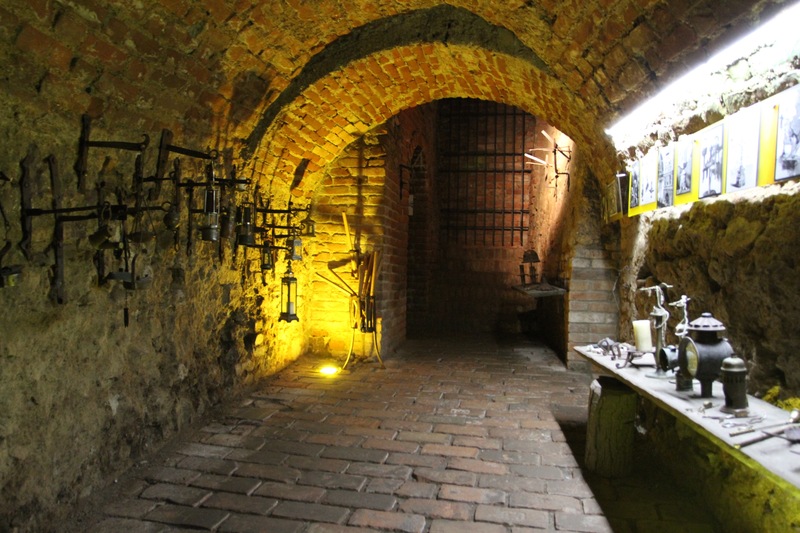 This history is told in a permanent exhibition inside the upper floors of the building, but is best experienced in the subterranean dankness of dungeons filled with gruesome scenes of torture and captivity. 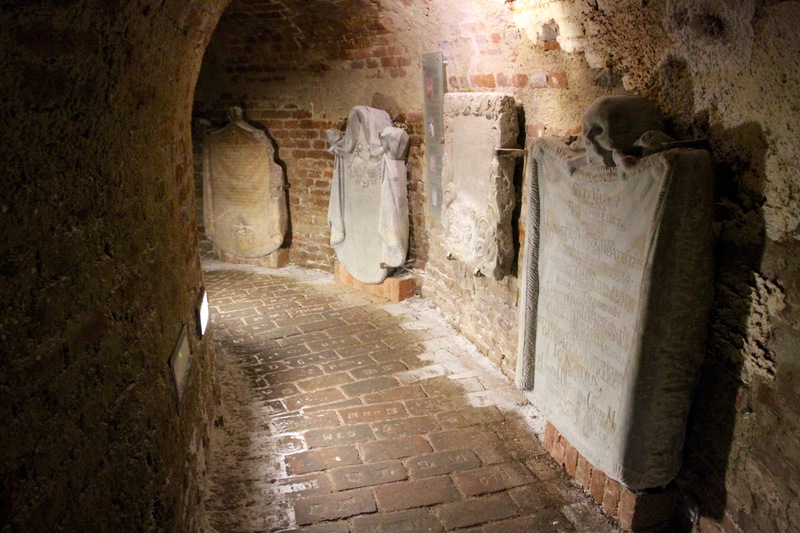 I entered the dungeons alone with only a printed guide for company, there was some light but it was still a bit spooky. 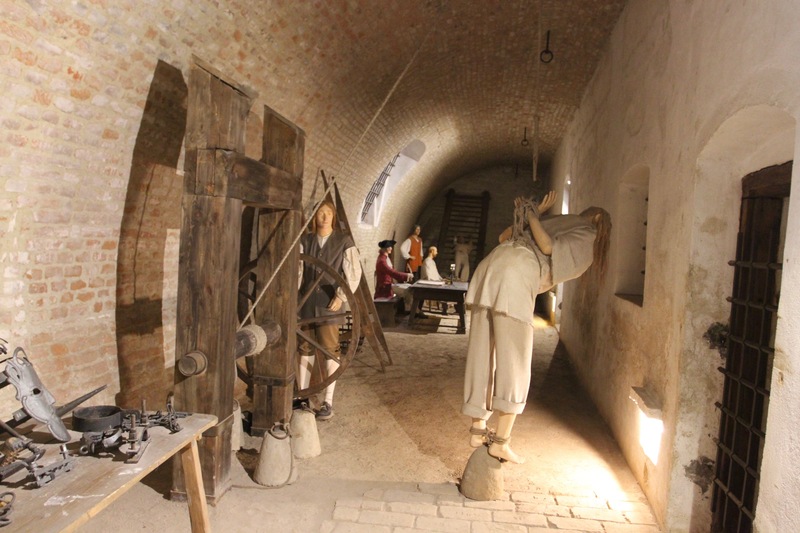 As I made my way through claustrophobic tunnels, I came across numerous rooms with mannequins depicting snapshots of what life must have been like for prisoners shut in the bowels of the fortress. In other circumstances these might have looked a bit kitsch, but the added atmosphere of being inside the castles casements made them convincing enough. It was a relief to finally emerge from underground. I made my way out of the moat and back into one of the two central courtyards, had a chat with one of the staff about how quiet the castle seemed, and then visited the museum. Had I known just how extensive the museum was, I might have come back another day. 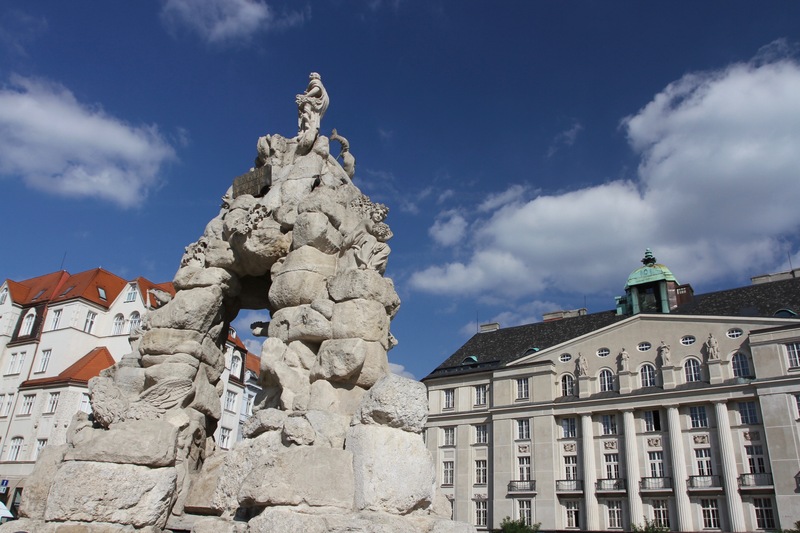 Although it took quite a long time to go around, and some of the exhibits were less than enthralling, the parts about the period of Nazi control were fascinating, as was the history of the city. After a morning exploring the castle, I strolled down the wooded hillside back towards Brno’s old town for lunch, grateful that I’d decided to spend an extra day in this lovely city. 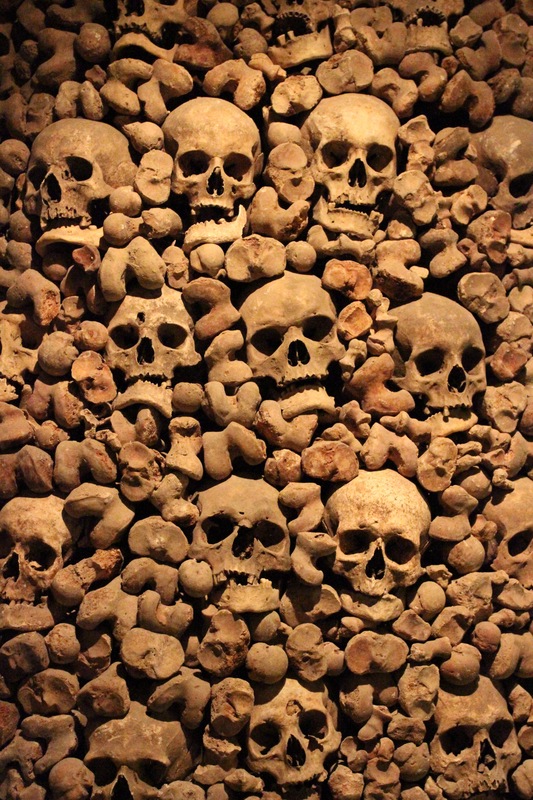 Little did I know that my underground experience had only just begun, next up was a visit to the underground labyrinth of the Cabbage Market, a 13th century ossuary and a burial site with the mummified bodies of dozens of monks. I hadn’t intended to go to Brno. It was only a chance encounter with someone from the city that convinced me it should be on my itinerary. It was on my way back to Prague, so it made sense to spend a night there. Forty-eight hours later, and not for the first time, I was very glad that I’d taken the advice of a stranger. 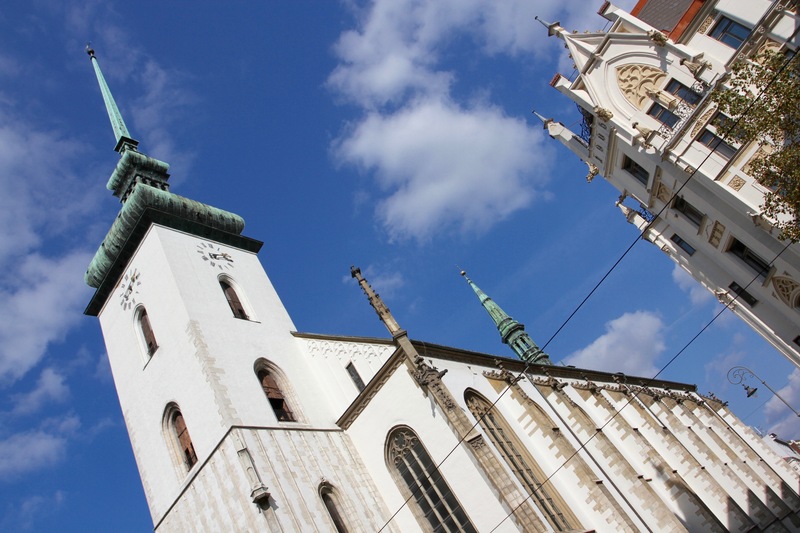 Brno may be the country’s second city, and it may not rival the glories of Prague, but it’s a place with a great deal going for it: a fascinating history, grand architecture, good restaurants, lively night life and, when I was there, a wine festival. 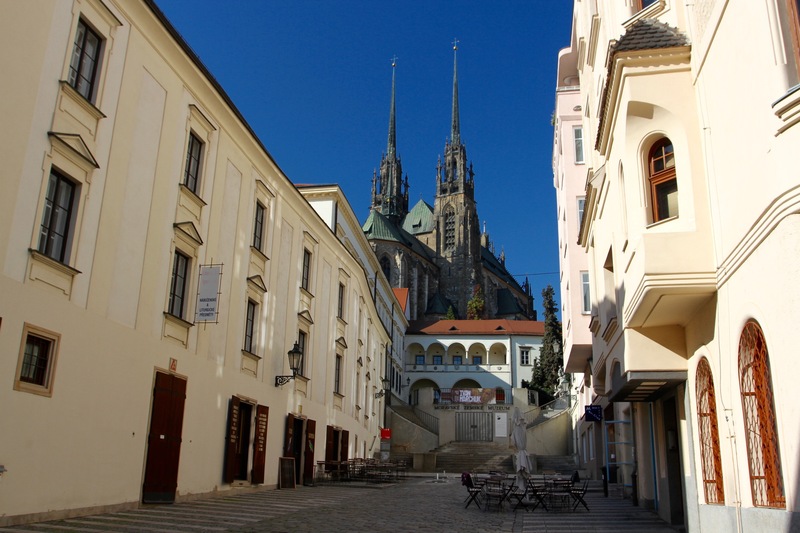 Brno gets a bad rap from its fellow Czechs. In 2003, a film was released called Nuda v Brne, or Boredom in Brno, which made fun of the supposed tedium of spending time in the city. This is unfair, but the reputation has stuck. I was staying just outside the city centre, close to one of the universities, an area with a thriving cafe culture and plenty of bars and restaurants, both traditional and trendy. It was anything but boring, and a student population of around 90,000 keeps the city on its toes. 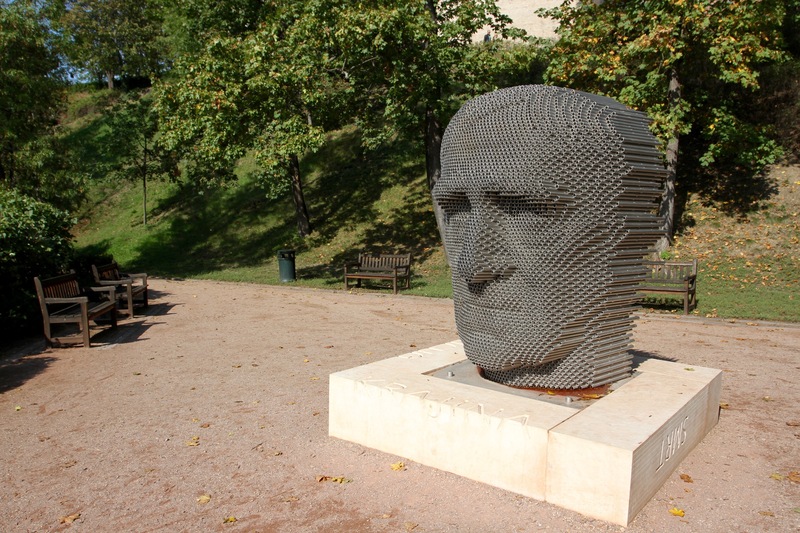 On my way into the historic centre, I arrived at a large square outside the Church of St. Thomas, home to a modern statue of Jobst of Moravia, a 14th century member of the ruling Luxembourg family. It looked like a ‘skinny’ Botero. 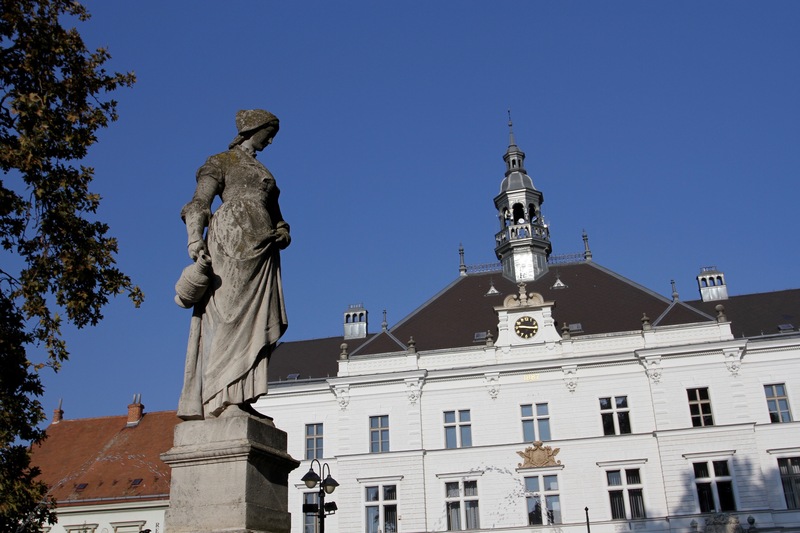 A wide avenue lined with magnificent 19th century buildings led to the central Liberty Square, where a festival of wine was drawing the crowds to celebrate the grape harvest. Local wine producers had stalls, a band played, large hunks of pork were being served, and everyone seemed to be enjoying the autumn sun. I tried a couple of different wines while chatting to a winemaker who’d lived in London for several years, and who gave me some top tips on things to see and do. It wasn’t long before I found my way to the more picturesque Cabbage Market, a large open square surrounded by attractive buildings. This has been the venue for a fresh produce market for centuries, and still is today. 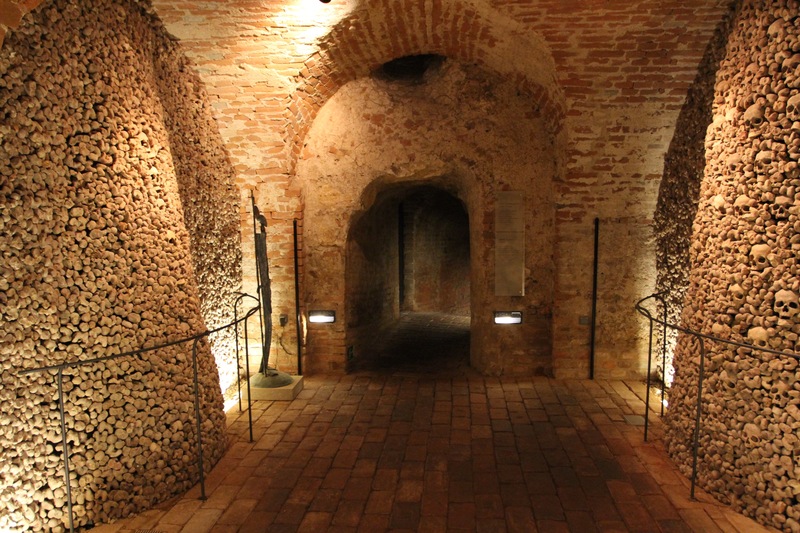 There are tunnels running beneath the square, where wine, beer, vegetables, meat and fruit were once stored – like a mini underground city. 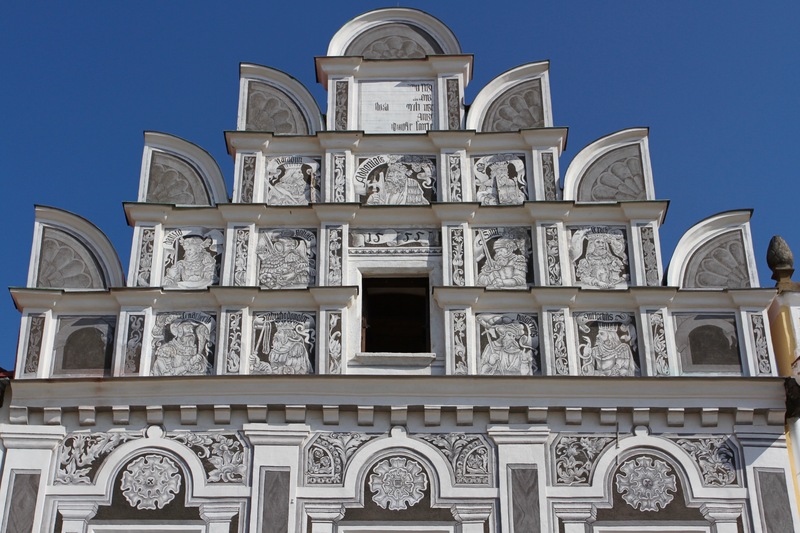 I found the tourist information and picked up a map and some leaflets on various sights before heading to Petrov Hill, where the glorious Cathedral of St. Peter and St. Paul sits. 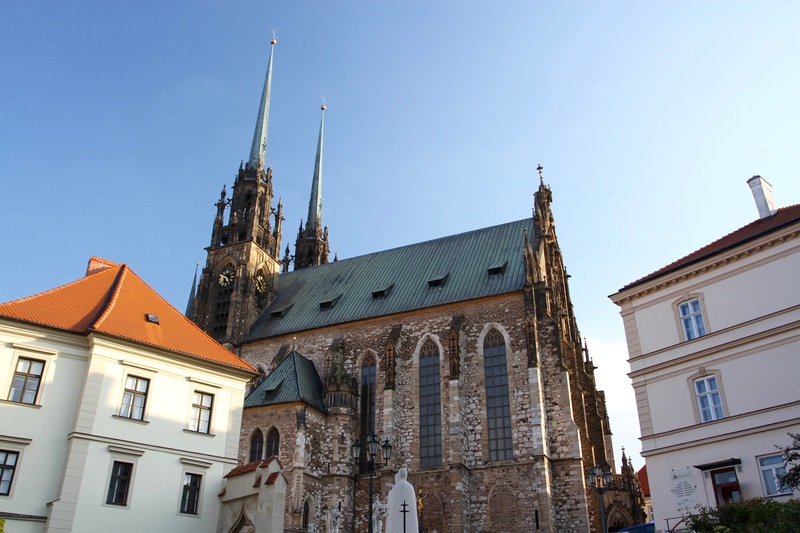 Dating from the 14th century, the cathedral’s moment of glory came in August 1645 during the Thirty Years’ War. Besieged by the armies of Protestant Sweden, the city got word that the Swedish commander had ordered his troops to take the city by midday or they would be forced to retreat. 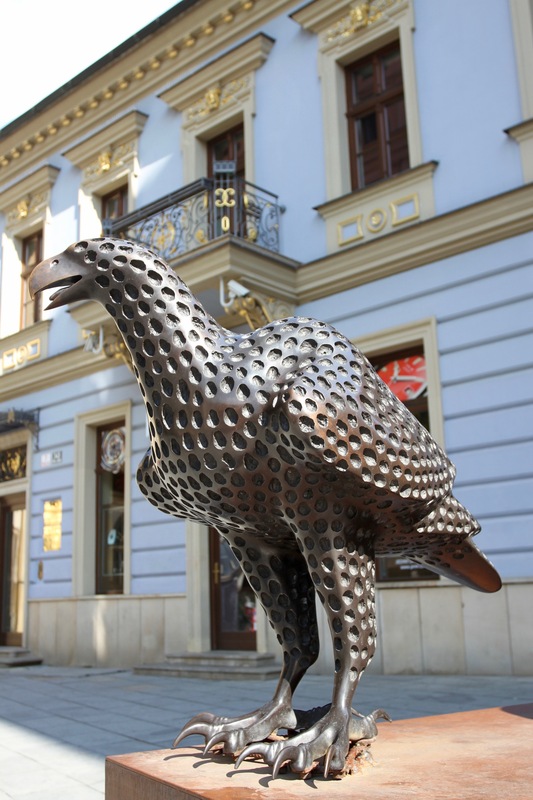 The attack started, but the residents of Brno had a cunning plan. 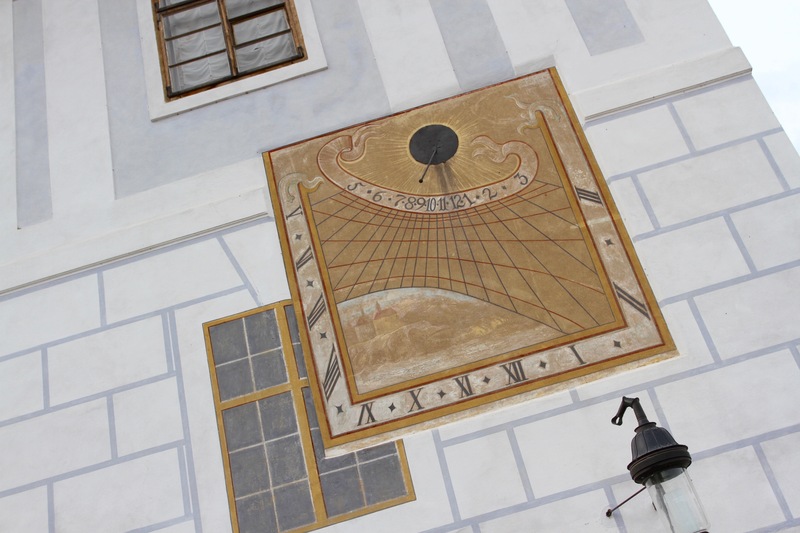 The cathedral bells would normally be rung at midday, but to fool the Swedes they were instead rung at 11am. Legend has it that the attackers heard the ‘midday bells’ and ceased the attack. A day later they retreated from the city and a (almost certainly false) legend was born. After a visit to the cathedral, I walked through the surrounding historic streets before making my way into the centre. Back in the Cabbage Market I could hear music. 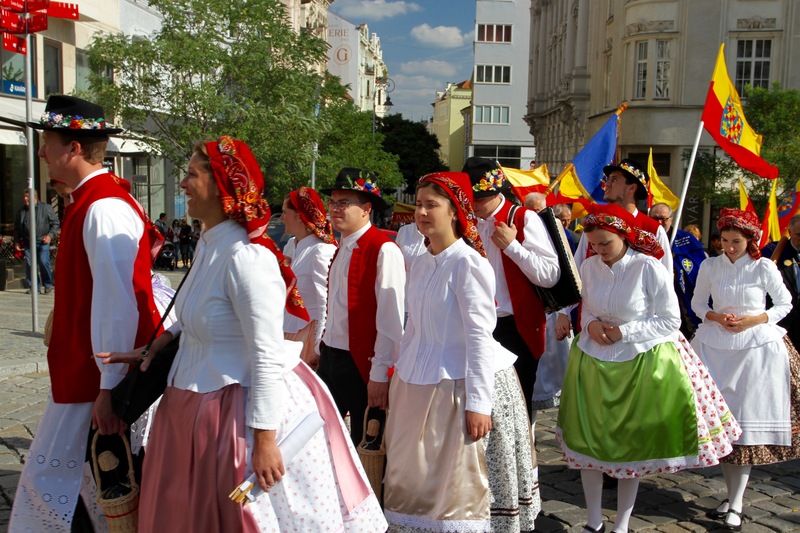 Shortly afterwards I spied a procession of people in traditional dress from somewhere around the early 19th century. I asked around to find out what the procession meant, but no one could tell me. I walked along with them until they stopped outside a church. The band started to play and the choir began singing traditional songs. It was really rather nice, but I got the impression that this was some sort of political protest. 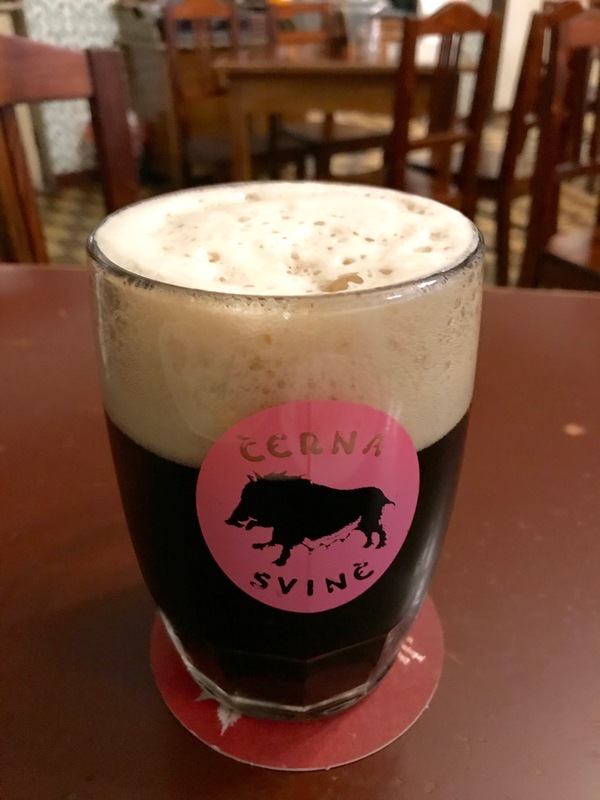 The entertainment over, I found a traditional Czech beer cellar and made myself comfortable with a dark beer. 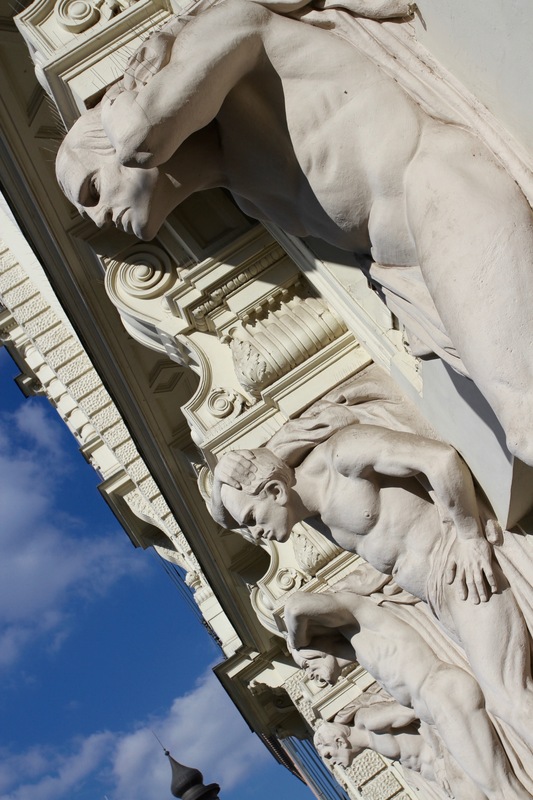 I’d only intended to spend one day in Brno, but there seemed to be a lot left to do. I got out the leaflets from the tourist office and began planning a second day in the city. Look at a map of the area around the villages of Valtice and Lednice, and the thing that leaps out is the road connecting them. It’s 10km long and, in a hilly region of winding roads, it’s arrow straight. 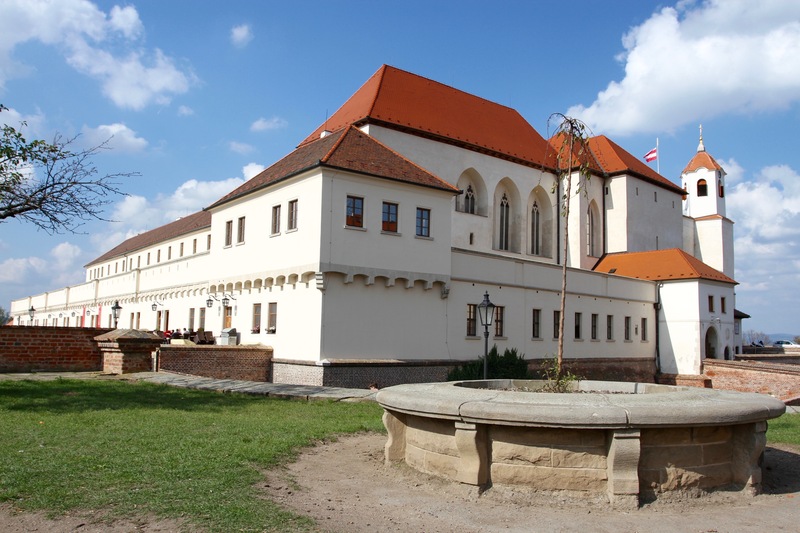 The road connects two magnificent palaces that once formed part of a vast estate covering 280 square kilometres of the surrounding countryside. 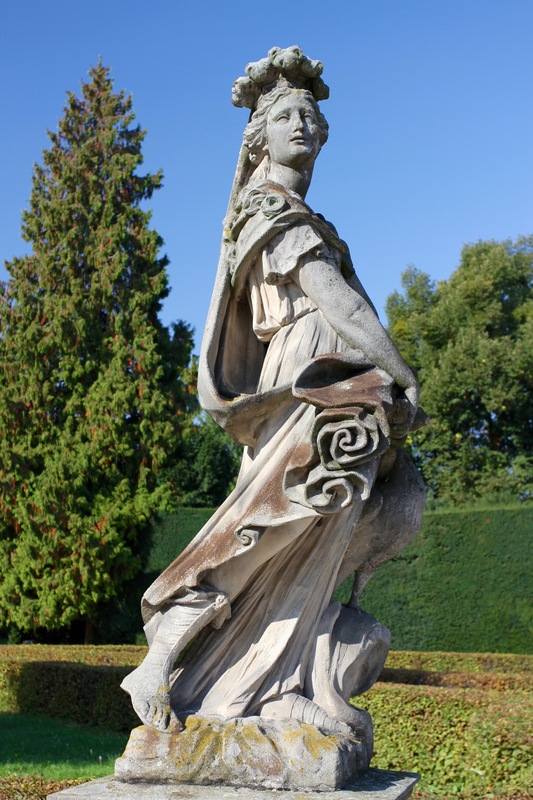 The Lednice-Valtice Estate was owned by the Dukes of Liechtenstein, the same people who founded and still rule what is now the Principality of Liechtenstein. If Moravia seems a long way from Liechtenstein, the tangled history of the European aristocracy explains everything. 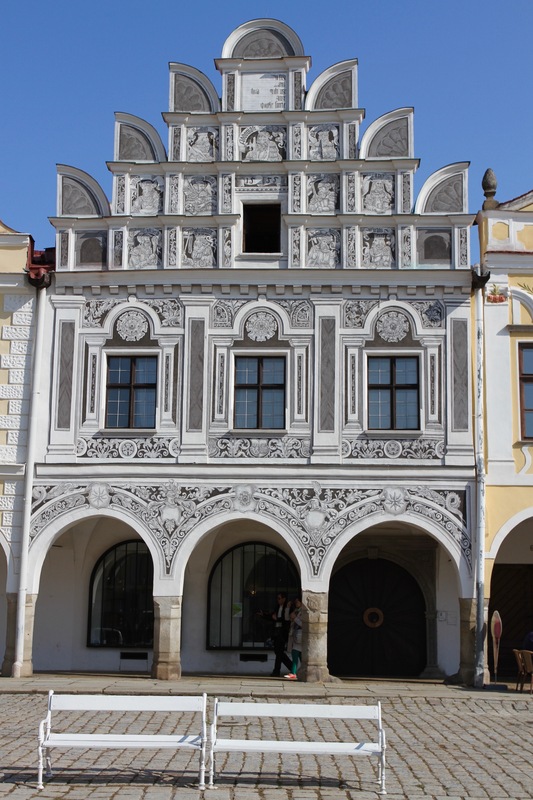 The Liechtenstein family arrived in Lednice in the 13th century. 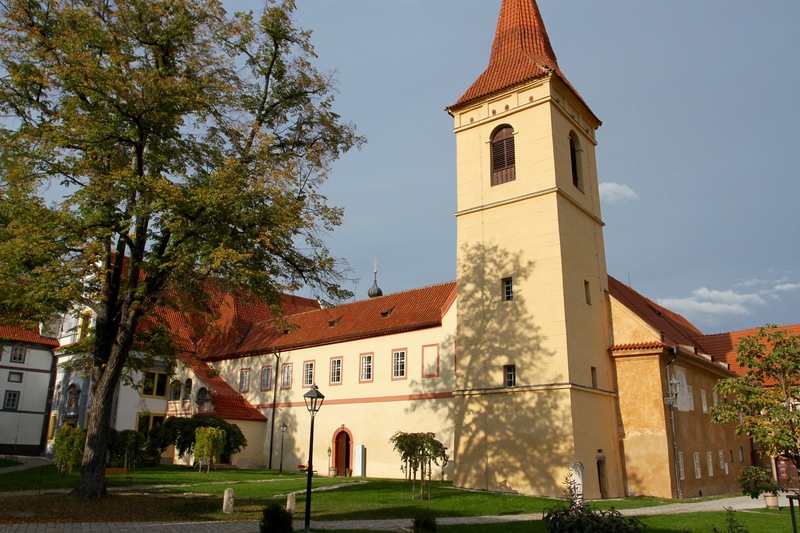 They bought Valtice in the 14th century, and added to their possessions over the centuries to become one of the most powerful families in Europe. 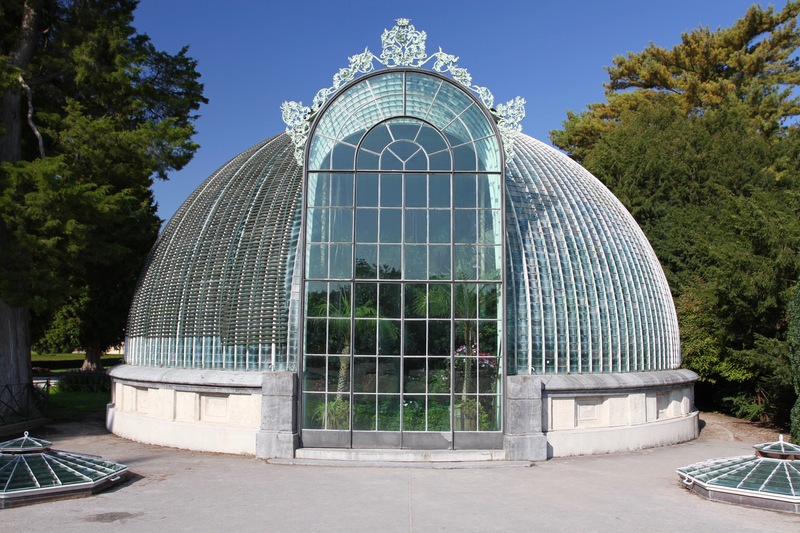 The result is not only a couple of extraordinary palaces, but one of the largest artificial landscapes in Europe. The whole thing received UNESCO World Heritage status in 1996. The connection with Liechtenstein the (sort of) country? 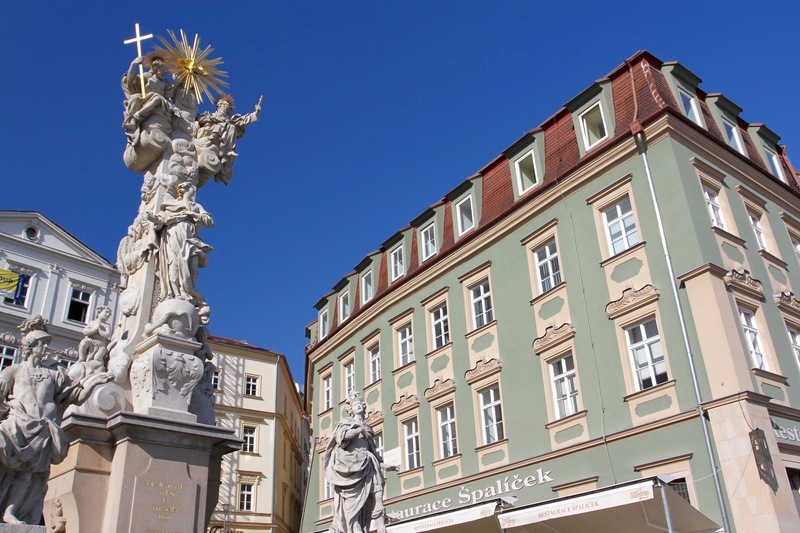 As a powerful dynasty, the Liechtenstein’s owned land and property across Central Europe, but they didn’t own any land that would qualify them as an Elector of the Holy Roman Empire. Under the Habsburgs, the Prince-Electors of the Holy Roman Empire were very powerful people. To qualify as Electors, in 1718 the Liechtenstein’s bought land between Switzerland and Austria and renamed it the Principality of Liechtenstein. 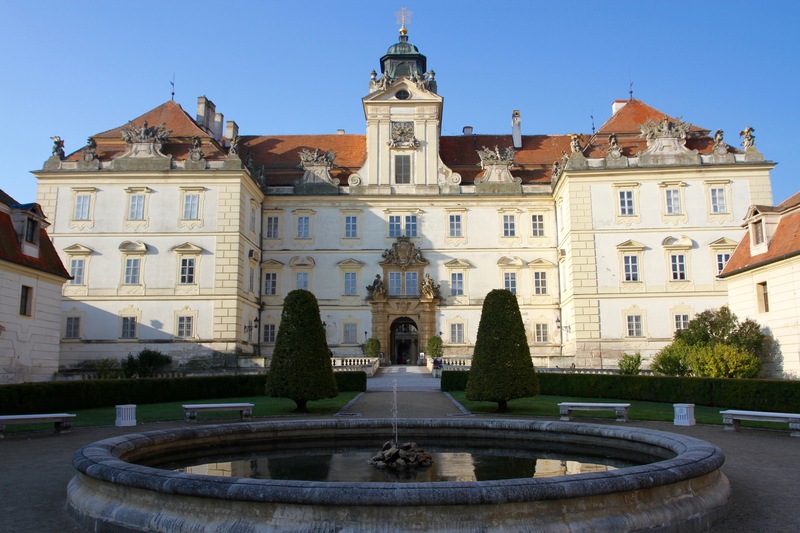 This was technically important but they didn’t move to Liechtenstein, remaining on their estates in Moravia. By the Second World War, the family had its base in ‘neutral’ Liechtenstein, but their Czech estates were left unmolested by the Nazis. 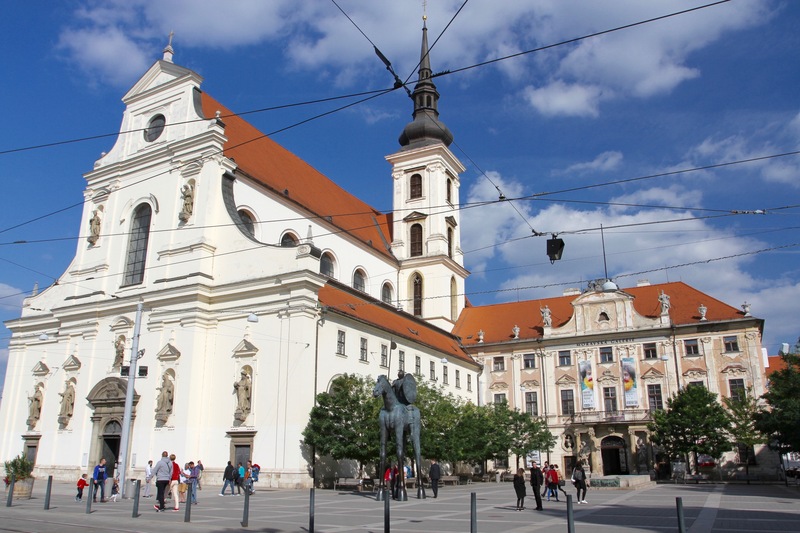 The arrival of Russian troops forced them into ‘exile’ in Liechtenstein, and the confiscation of their property by Czechoslovakia’s communist government meant that they never returned. 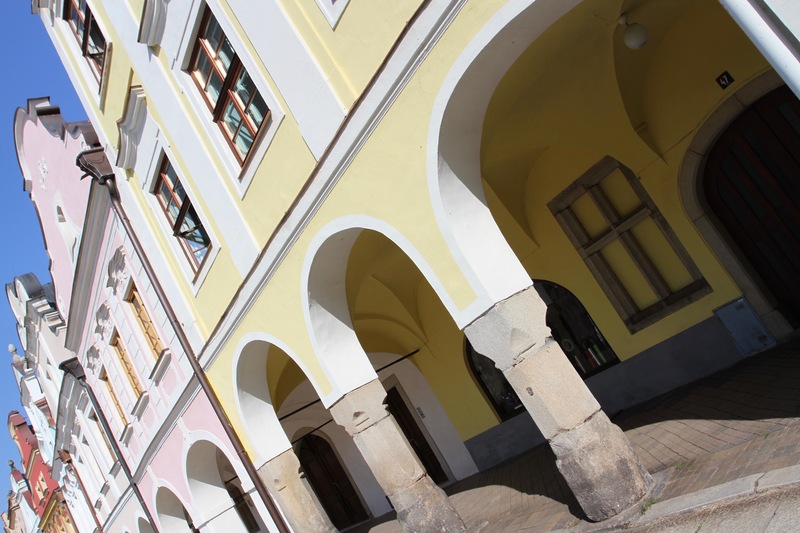 In an attempt to reclaim their lands, the family and Principality of Liechtenstein have been in legal disputes with the Czech Republic and Slovakia since 1992. I was heading to the Moravian capital of Brno, so started at the more southerly Valtice about a kilometre from the Austrian border. It was early morning when I arrived and there was precious little activity in the village. I parked in the centre and walked past the church towards the palace. It’s an impressive building and immediately put me in mind of a French chateau. There was no one around as I passed a fountain at the front of the building. 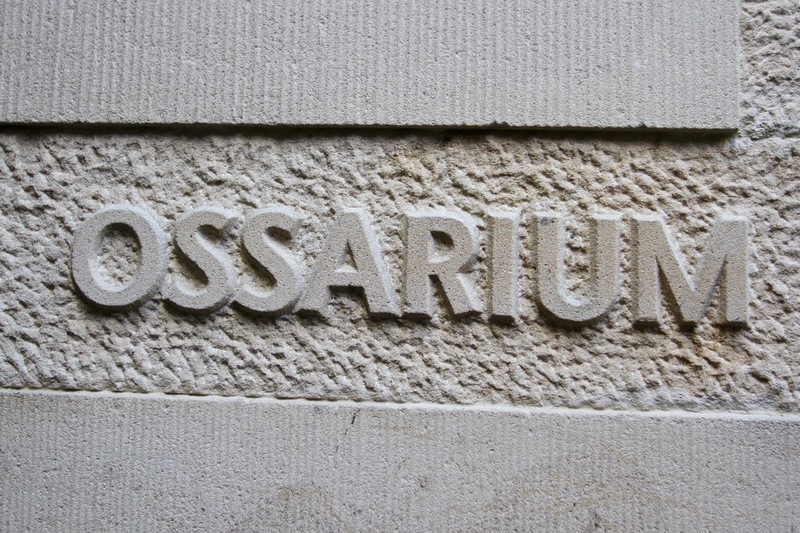 I walked through the main courtyard and into the landscaped gardens to the rear. 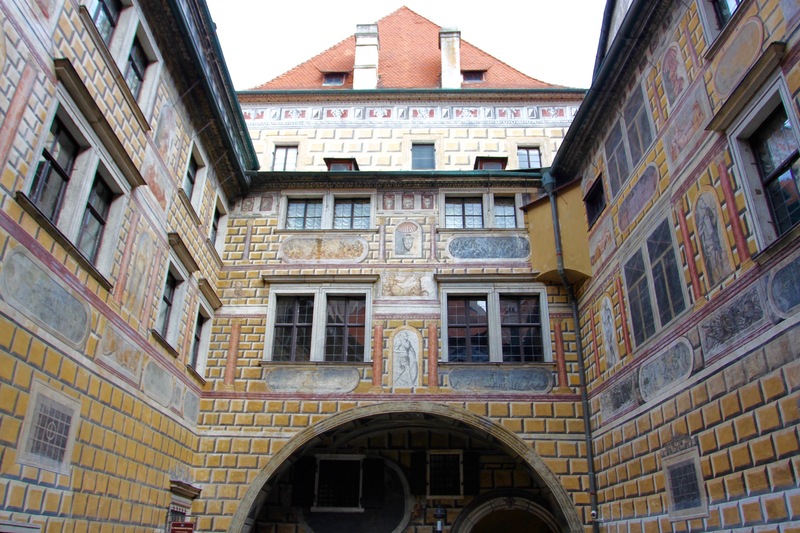 The building, like so much in the Czech Republic, was only accessible by guided tour. The next one was an hour away, so I decided to wander back to the pleasant village square before heading north through the former estate to Lednice. It was a holiday weekend and there were a few groups of people arriving on bicycles. This would become a theme for the day, and it was only later that I realised that this area was renowned for its network of cycling paths. 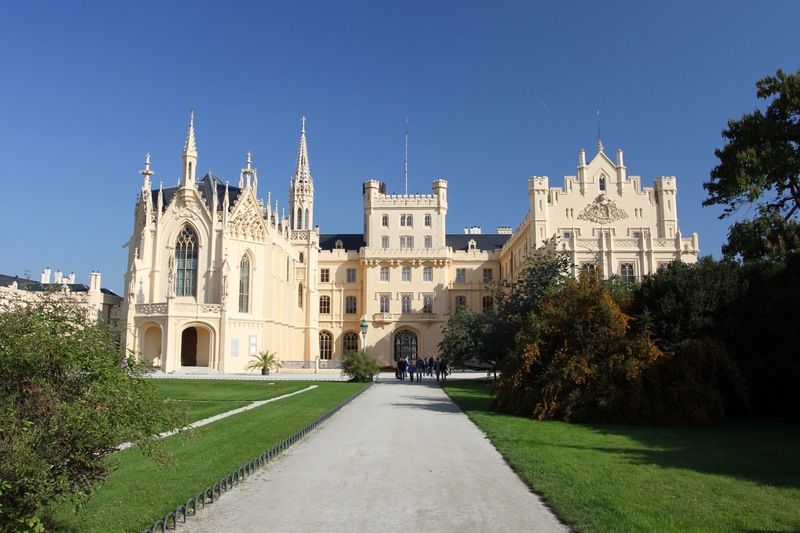 It didn’t take long to reach Lednice, but as I searched in vain to find a parking space, it quickly became clear that this was the more popular of the two palaces. 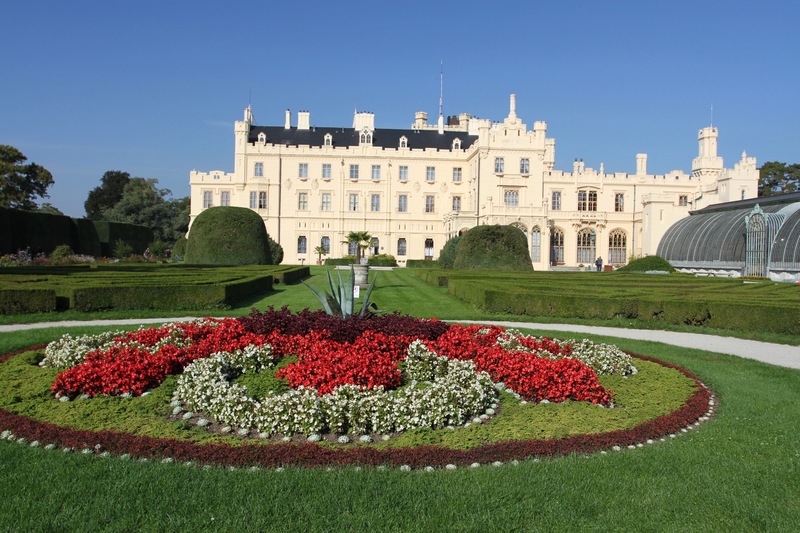 If Valtice was a French chateau, Lednice reminded me of an English country estate. This isn’t especially surprising given that even the aristocracy followed fashion. 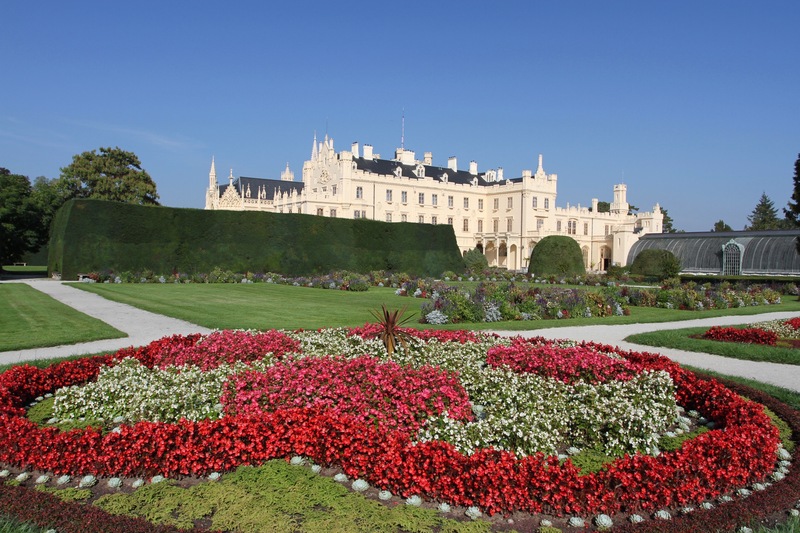 The palace of Lednice isn’t as impressive as that of Valtice, compensated for by the gorgeous formal gardens and country park. Yet again, my timing was off and I’d have to wait a couple of hours for the next tour of the palace. I chose to go for a walk through the gardens instead. 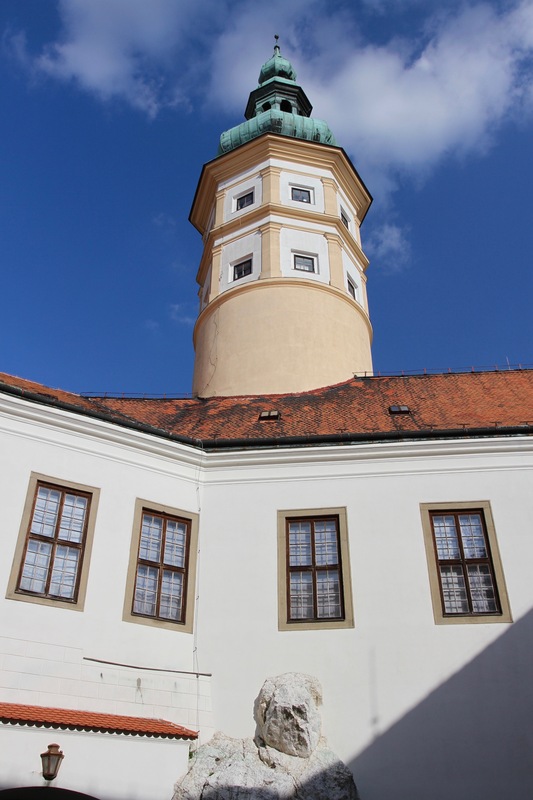 There’s a 5km loop that takes you to a sixty-metre high minaret built between 1797–1804. 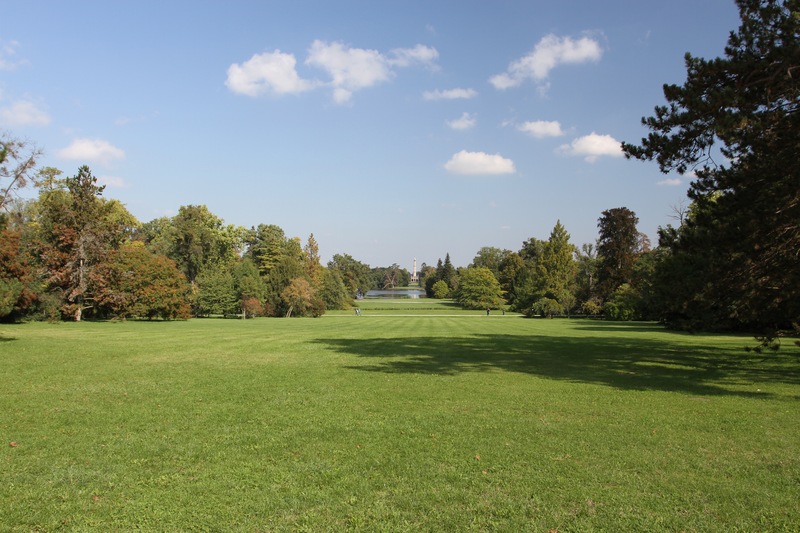 Just to recap, there is an Islamic minaret in an English country park, in the middle of Central Europe, on an estate that was once owned by the people who run Liechtenstein. Not only that, it was designed by Josef Hardtmuth, the person who invented the graphite pencil. Honestly, people wouldn’t believe you if you made this up. 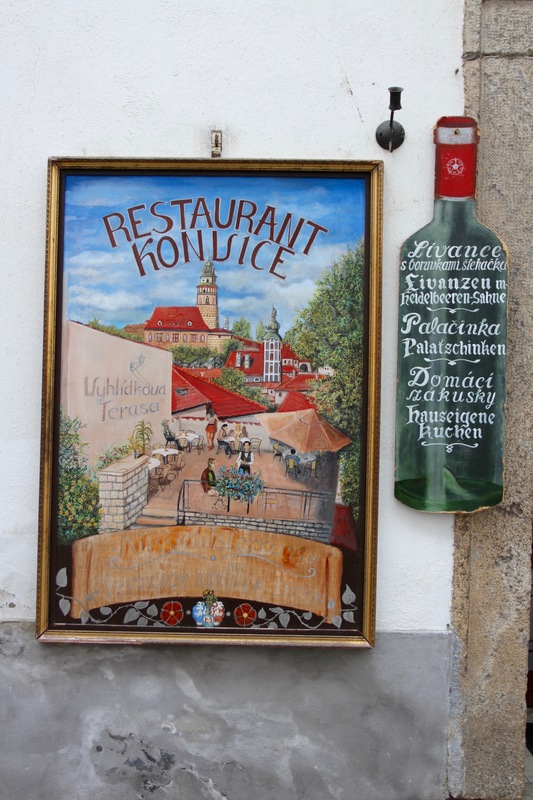 Chance had it that I arrived in Mikulov at a propitious moment. 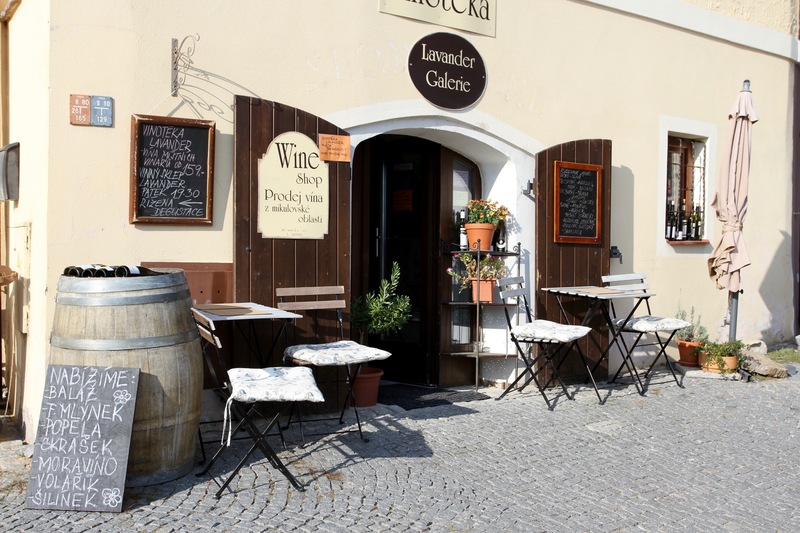 In a country famed for beer making, this beautiful town sits in the middle of the Czech Republic’s largest and most important wine producing region … and no, I didn’t know there was a Czech wine industry either. 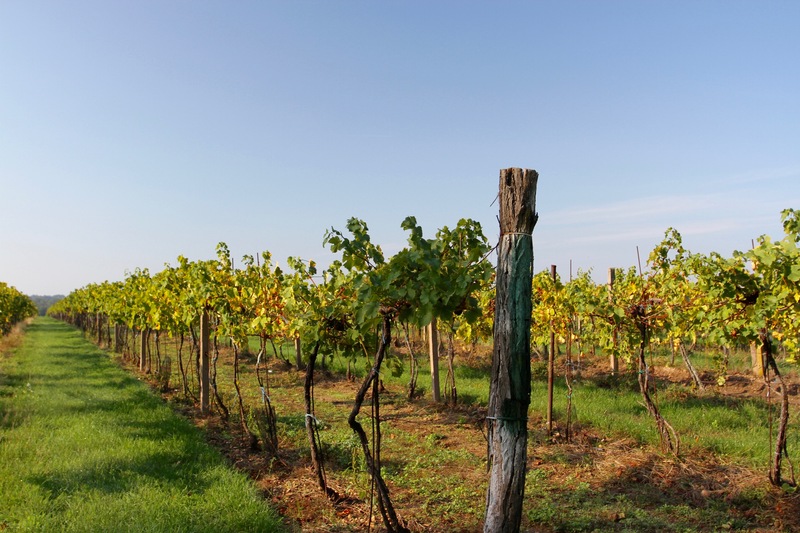 Not only was the grape harvest in full swing, and with it a wine festival offering the chance to taste a variety of local and regional wines; it was also a national holiday, and the town was buzzing with people enjoying the autumn sunshine and the fruits of the surrounding vineyards. I’d missed the big celebration that heralds the start of the grape harvest, but the lively atmosphere was a lot of fun in what is normally a sleepy place. 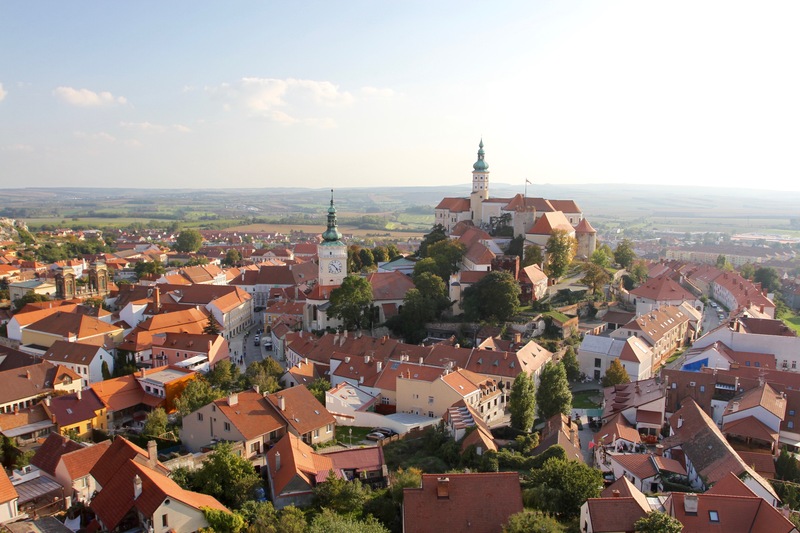 Mikulov sits in beautiful rolling countryside, so close to the Austrian border that the town was virtually part of the Iron Curtain during the Cold War. The post-War period was disastrous for the wine industry. 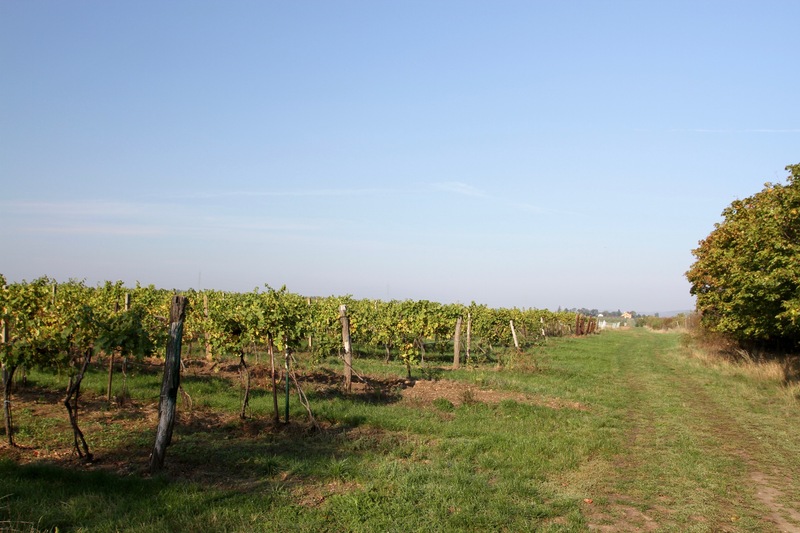 The communist government nationalised vineyards and quality suffered as a consequence. The industry is now emerging from that malaise and is beginning to make its mark internationally. The local Riesling was pretty good. 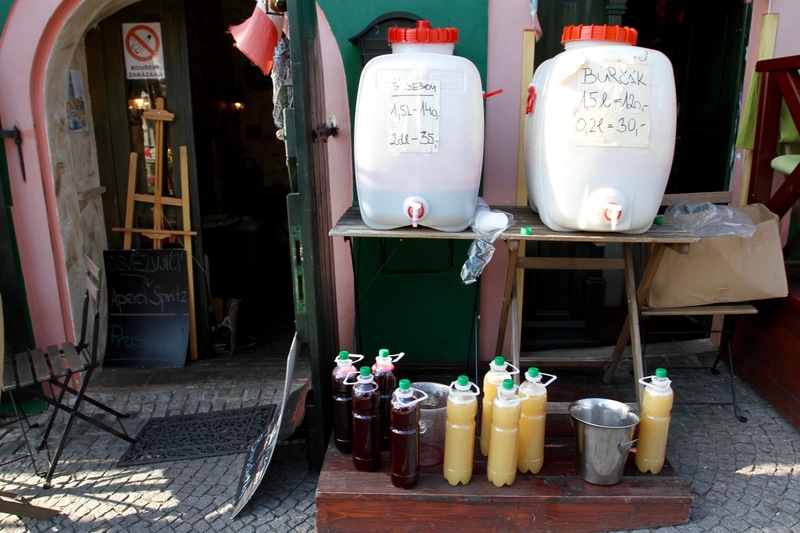 Walking through the town towards its most dominate feature, the massive Baroque castle dating from the 13th century, I kept seeing people with plastic bottles of red and white liquid. 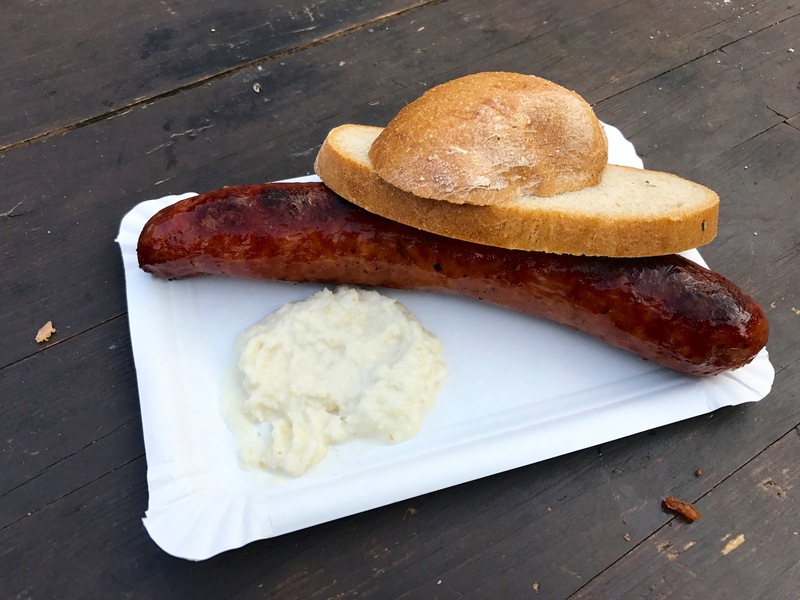 This was a local speciality known as burčák, a partially fermented wine and a popular feature of wine festivals at this time of year. I stopped at a place with two barrels of the stuff outside and, for research purposes, tried a glass of both white and red. Don’t let the cloudiness put you off, it has a low alcohol content and is deliciously sweet with a refreshing bitterness. 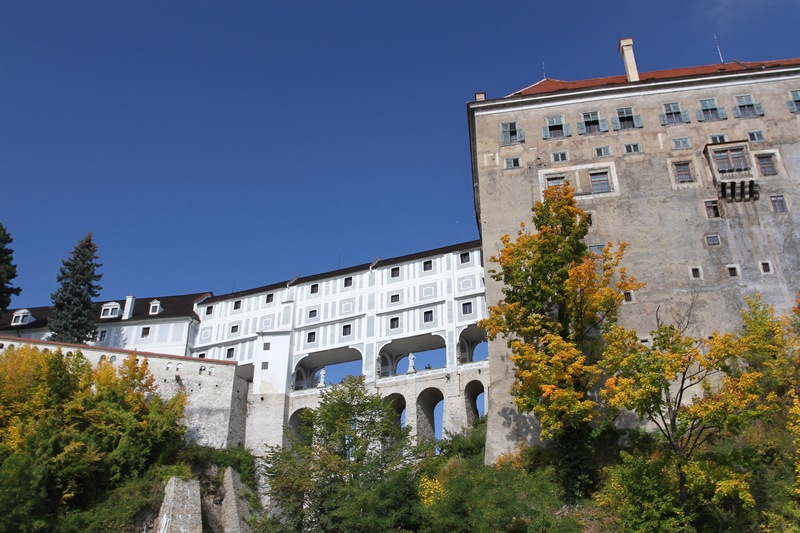 The burčák powered me up the steep hill and into the grounds of the castle, formerly the home of two powerful European families, the Liechtenstein’s and Dietrichstein’s. 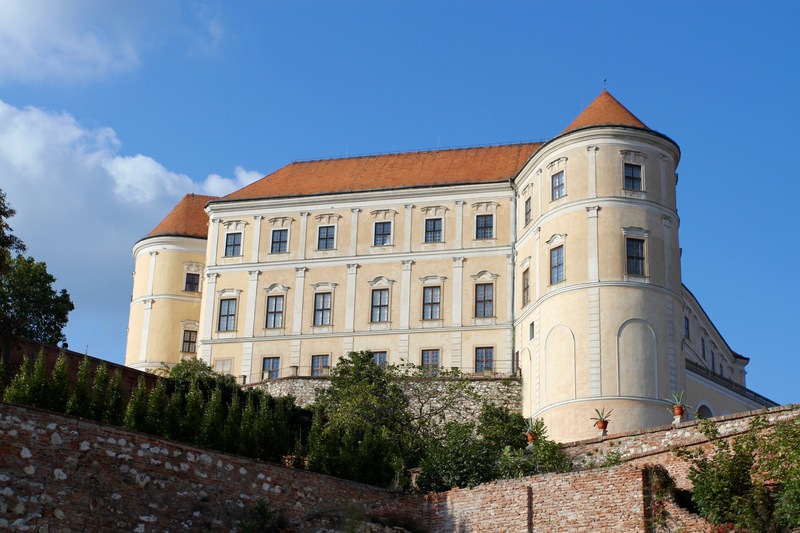 The castle was burned by retreating German troops in the Second World War, but was rebuilt and transformed into a museum in the 1950s. It’s a magnificent building that literally towers over the rest of the town. There are good views over the surrounding countryside from the castle, and it’s interesting to wander through the grounds. I descended on the western side of the castle through an area of narrow streets that had once been home to one of the most significant Jewish communities in the country. 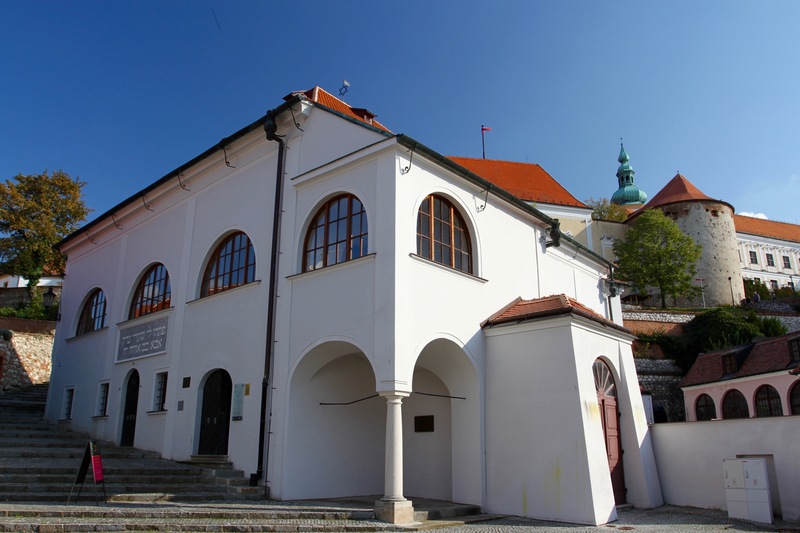 Jews first settled in Mikulov in 1421 and the community grew to number around 3,500 in the 19th century. 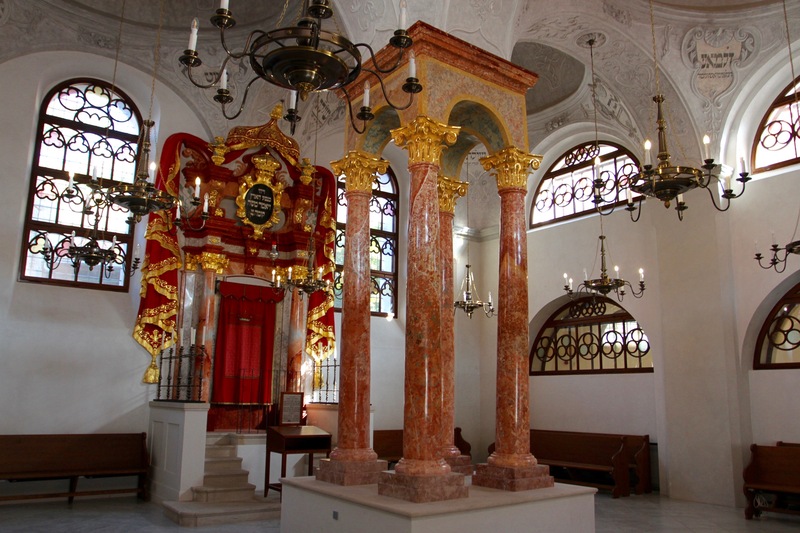 At its height there were 12 synagogues and hundreds of houses in the Jewish quarter. 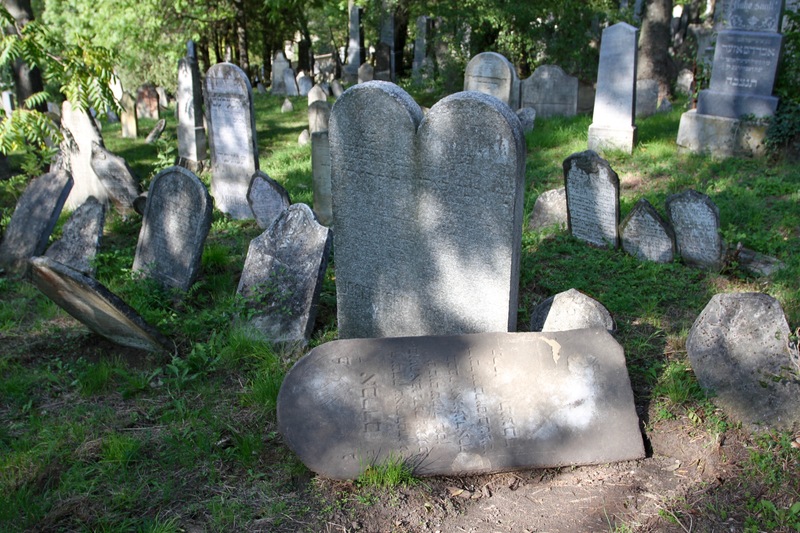 As with the history of all Jewish communities, there were periods of peace and prosperity, punctuated by periods of persecution; like everywhere in the region, centuries of Jewish history effectively ended in the horrors of the Holocaust. 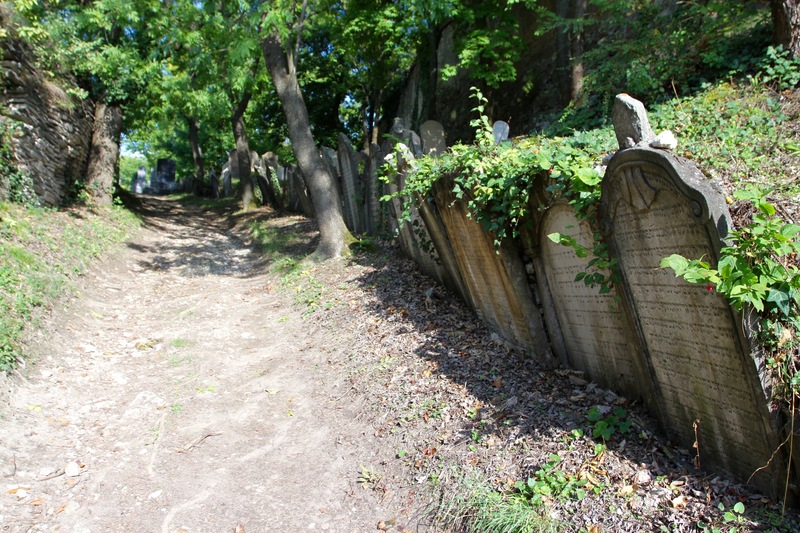 Today, there is a fascinating trail through what is left of the old Jewish quarter. 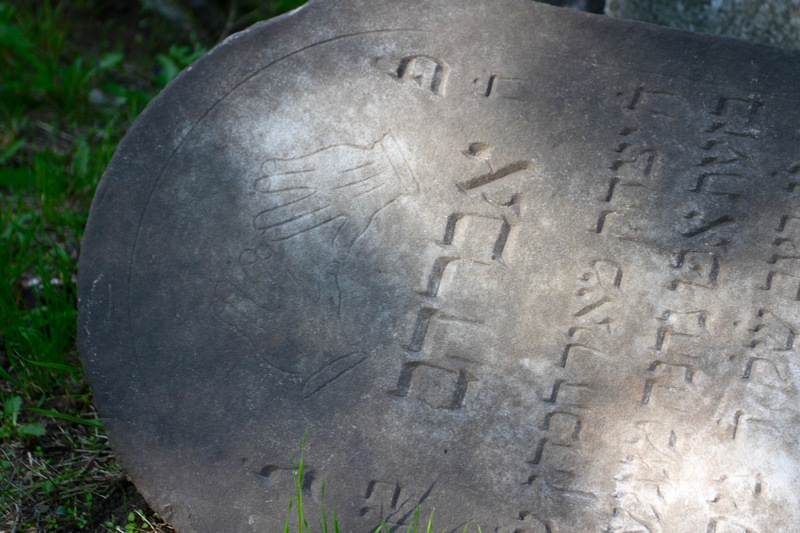 Many houses and synagogues have been destroyed over the years, but those that remain are a poignant reminder of the culture that was destroyed by Nazi ideology. 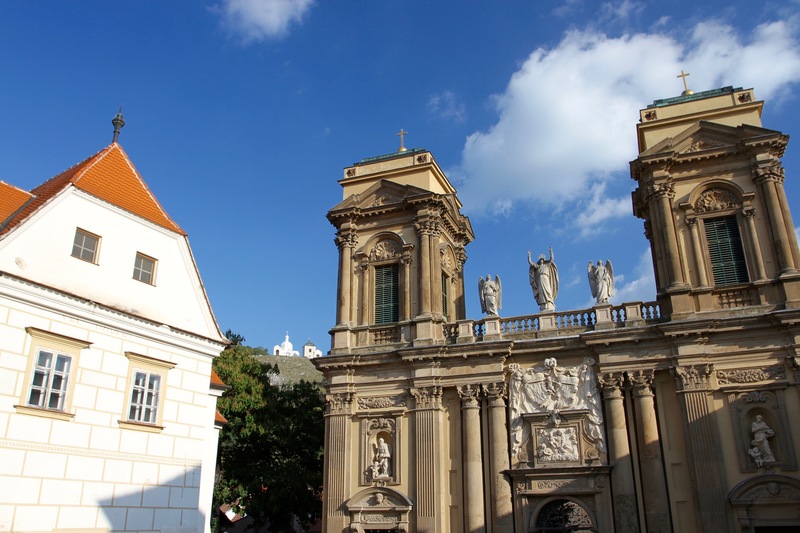 The route passes through quiet streets to the beautiful Upper Synagogue, before making its way to the truly extraordinary Jewish cemetery, one of the largest in Central Europe. 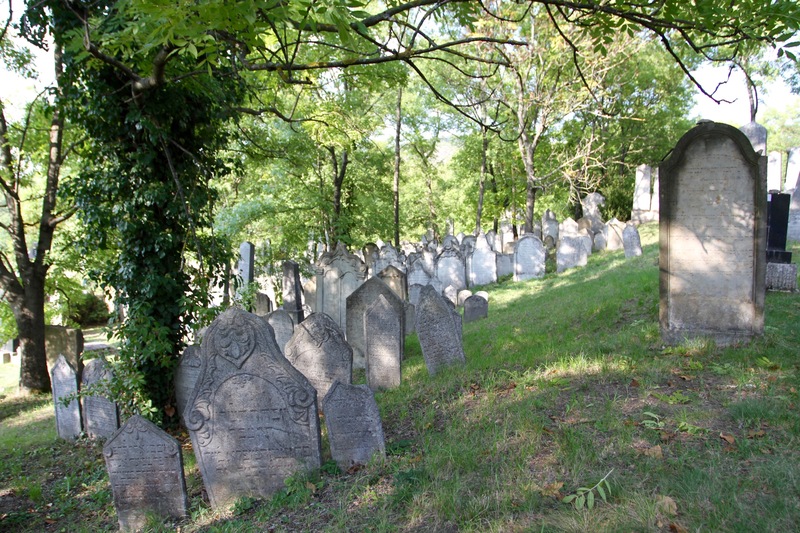 It rivals Prague’s Jewish cemetery for atmosphere but receives a fraction of the visitors. 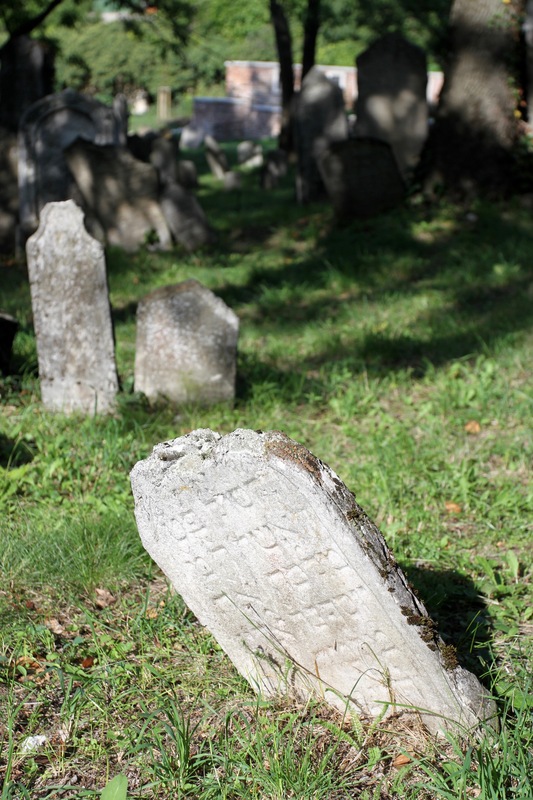 The cemetery is close to a 15th century military tower, Kozí hrádek or the Goat Tower as it’s also known. I strolled up hill to the the entrance and then up a spiral stairway to get sweeping views over the town and surrounding vineyards. I’d passed a nice looking wine bar with a terrace on the way up, on my way back down I stopped for a glass of something local while watching the sun set over the town. 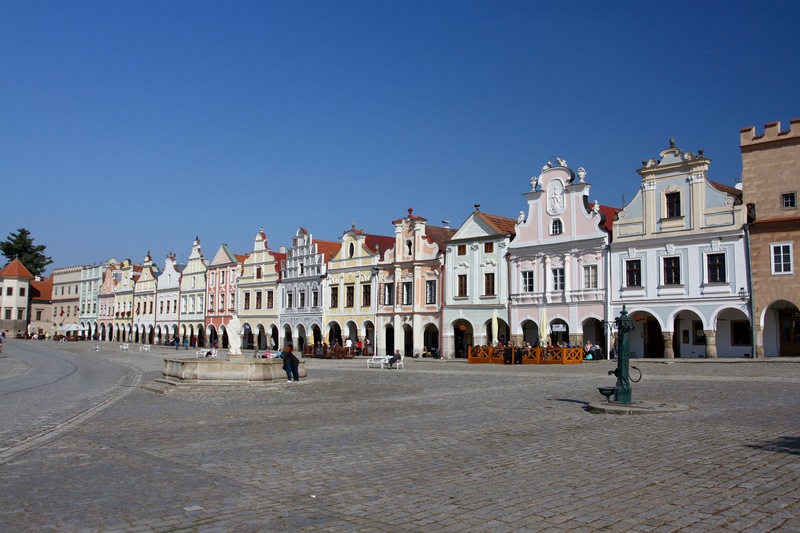 I ate dinner on the lovely main square and planned my early start to visit the villages of Valtice and Lednice. 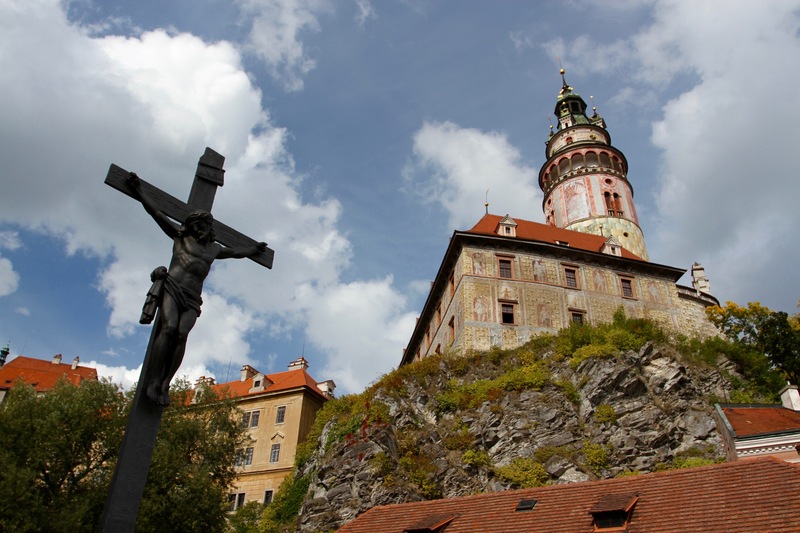 Cesky Krumlov is an incredible place. 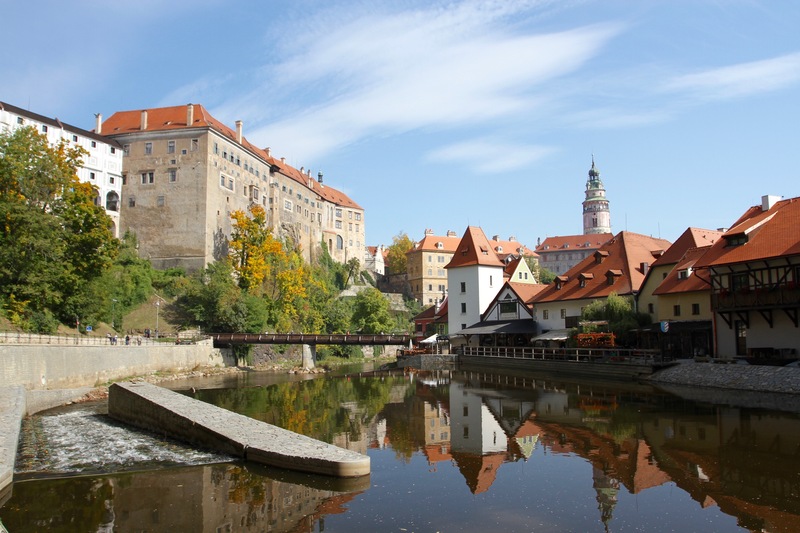 This gorgeous medieval town, dominated by a magnificent castle sitting on a hill, feels like it may have been transplanted straight out of Grimms’ Fairy Tales into the Bohemian countryside. There has been a castle here for nearly nine hundred years, and the town grew in its shadow. 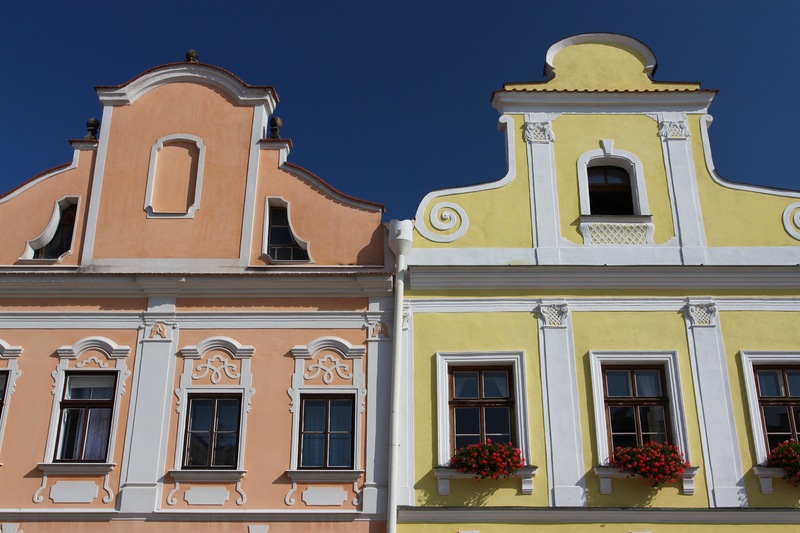 Over those centuries the medieval character of the town has survived almost intact. 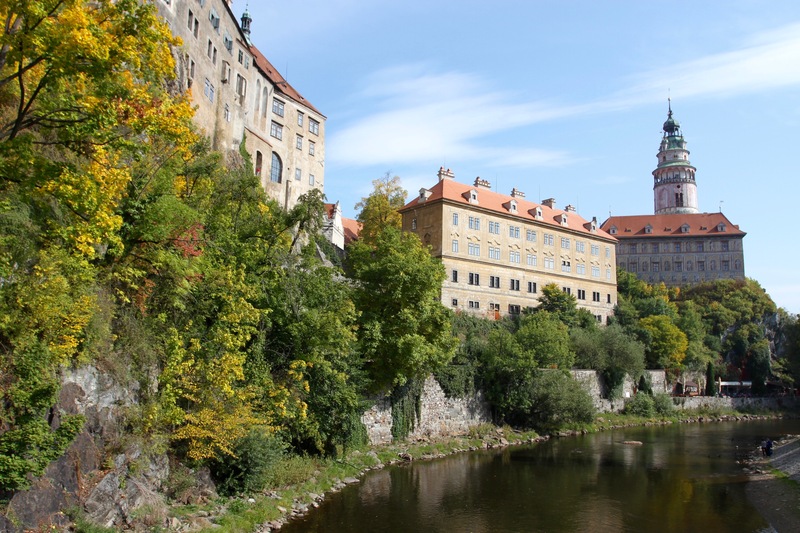 That would be remarkable in its own right, but the town dramatically nestles in the bends of the Vltava River and between the surrounding wooded hills. It’s nothing short of spectacular. 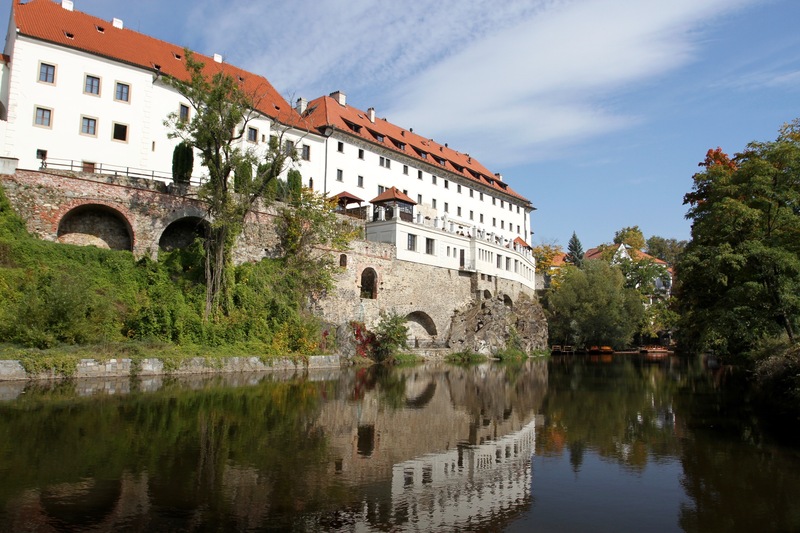 Cesky Krumlov’s castle is the town’s main attraction, and it has a long, proud history. 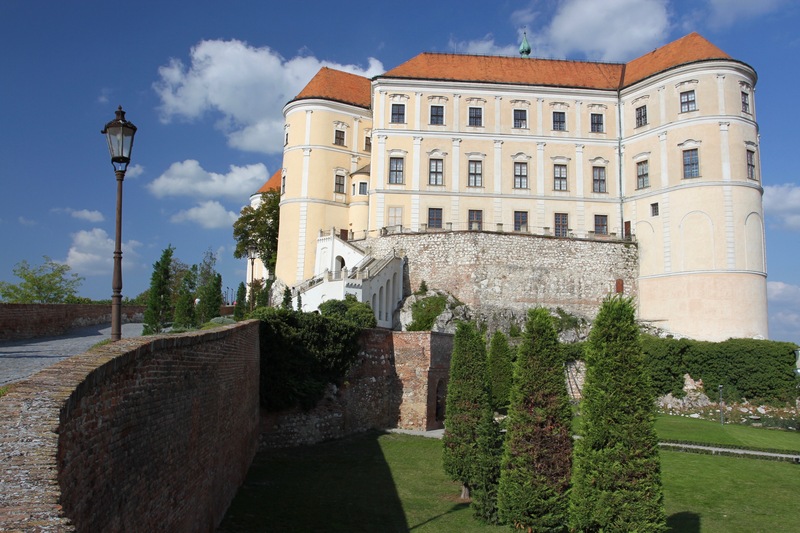 The aristocratic families who owned the castle were at the centre of European politics, and were some of the most powerful people in Central Europe. Remarkably, over nine centuries of its existence, only three families have owned the castle: the Rozmberks, Eggenbergs and Schwarzenbergs. 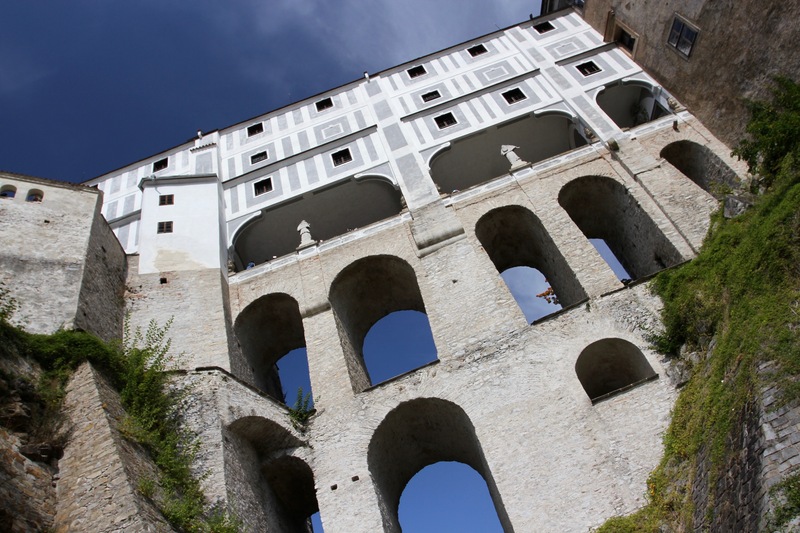 The Rozmberk’s ran the town for nearly 300 years and it’s to them that the castle’s most famous ghost story is attached – the White Lady of Cesky Krumlov. 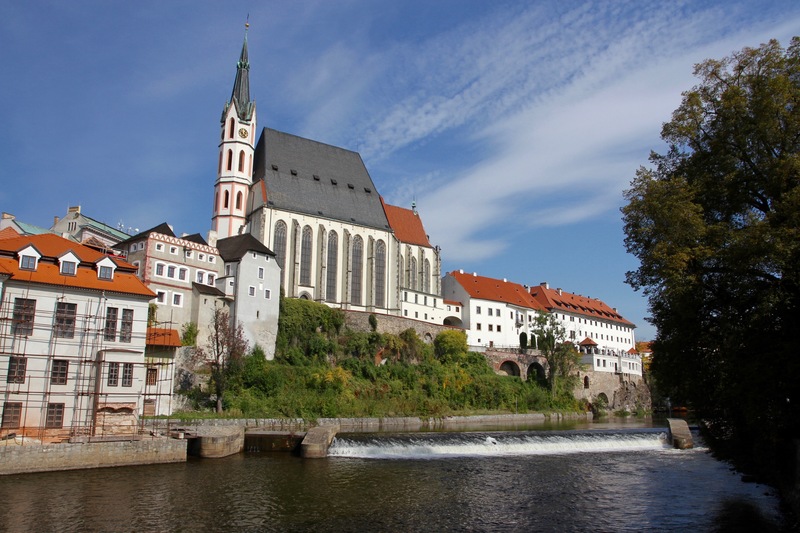 In the mid-15th century, the ruler of Cesky Krumlov, Oldrich II, married his daughter, Perchta, against her will to Jan of Lichtenstein. He treated her miserably and she was stuck in an abusive marriage for thirty years. It’s claimed she refused to forgive Jan his sins against her, so on his deathbed he cursed her. She’s said to roam the castle still. If that seems both unfair and far fetched, it’s also said that the Rozmberk’s attempted to grow gold in the castle gardens by planting coins. The Schwarzenberg family crest is a Turks severed head being pecked by a raven. This is the sort of history that encouraged me to climb up the steps to the castle. You can tour the castle grounds and gardens independently. 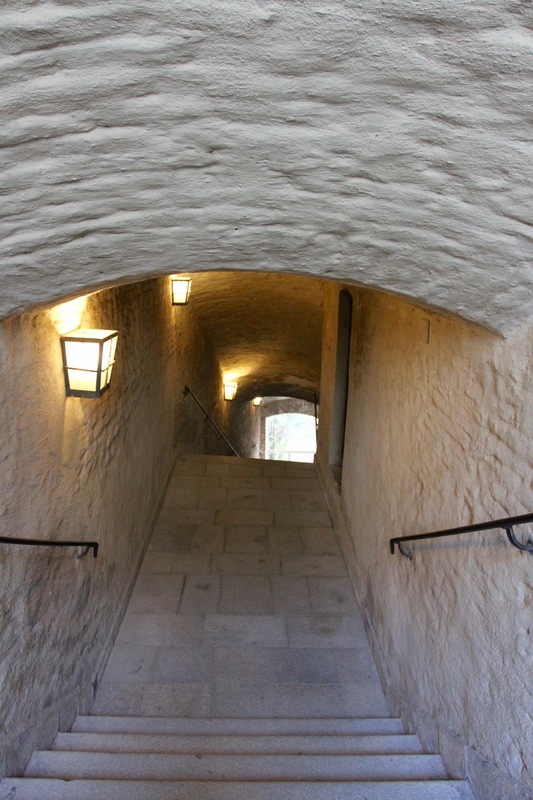 If you want to see the interior of the castle you have to take a guided tour. The options were confusing and the ticket staff incredibly unhelpful, but eventually I bought a ticket that would take me through the Cloak Bridge. The dramatic three-storied Cloak Bridge is built on massive stone arches over what was once the moat, and connects the castle to the tranquil gardens. I went to the start point of the tour and waited with a small group of Czechs for our guide to show up. 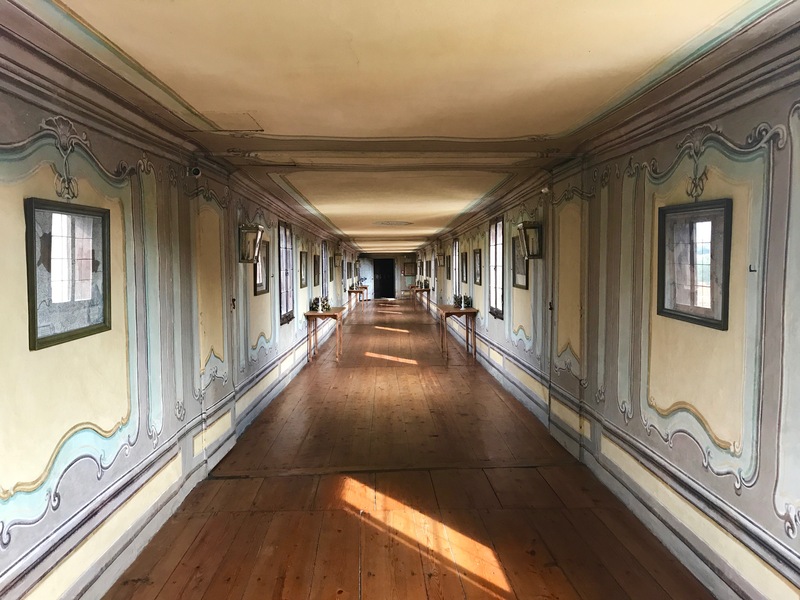 My experience of guided tours in historic buildings hadn’t prepared me for our guide: a lady in her sixties wearing bright red high heels, fishnet stockings and wielding a red rose like a conductor’s baton. 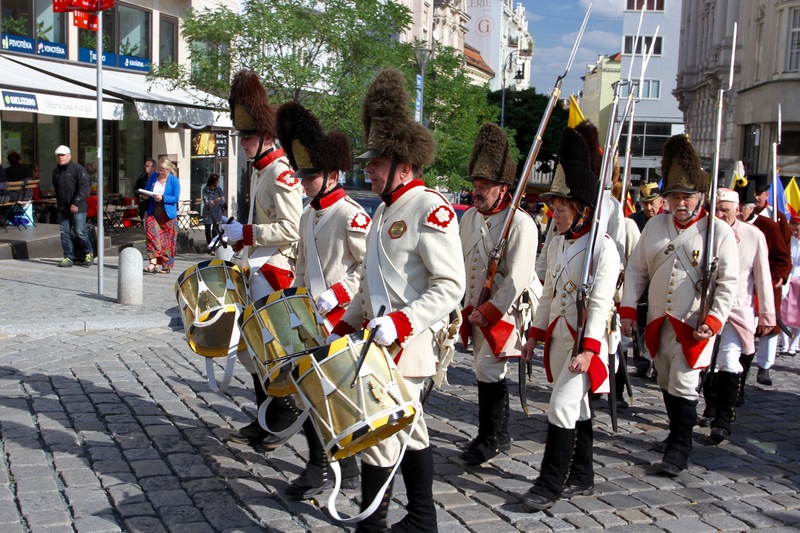 It was clear from the reaction of the Czechs on the tour (no photos allowed) that it was entertainingly eccentric. Sadly, it was entirely in Czech and completely lost on me. I had to put up with a boring printed guide in English. 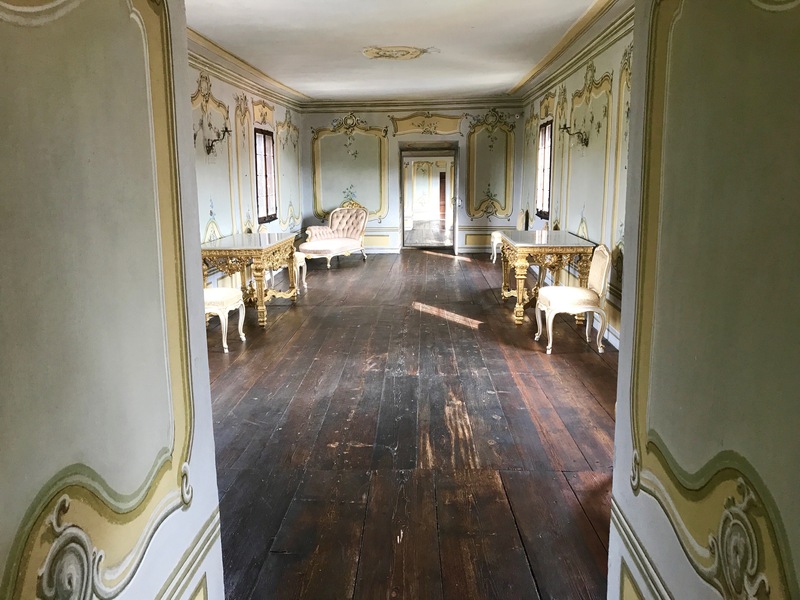 The tour of the Schwarzenberg family rooms, the last family to own the castle, was interesting. Adolph Schwarzenberg, with his wife Princess Hilda of Luxembourg ,was the very last of the family to live there. He was vastly wealthy and an outspoken critic of the Nazis as they rose to power. 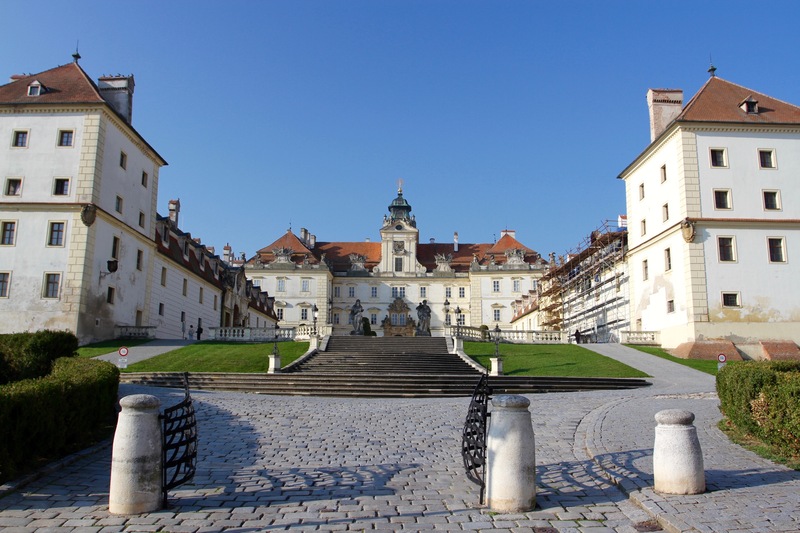 He owned a palace in Vienna, and it’s said that when the Anschluss occurred he flew black flags above the palace; when the Nazi authorities banned Jews from Vienna’s public parks, Schwarzenberg is reputed to have opened the palace gardens to Jews. He also donated a lot of money to the defence of Czechoslovakia. This opposition to the Nazi regime meant that when German forces annexed the country in 1939 he had to flee, first to Italy and then to the United States. 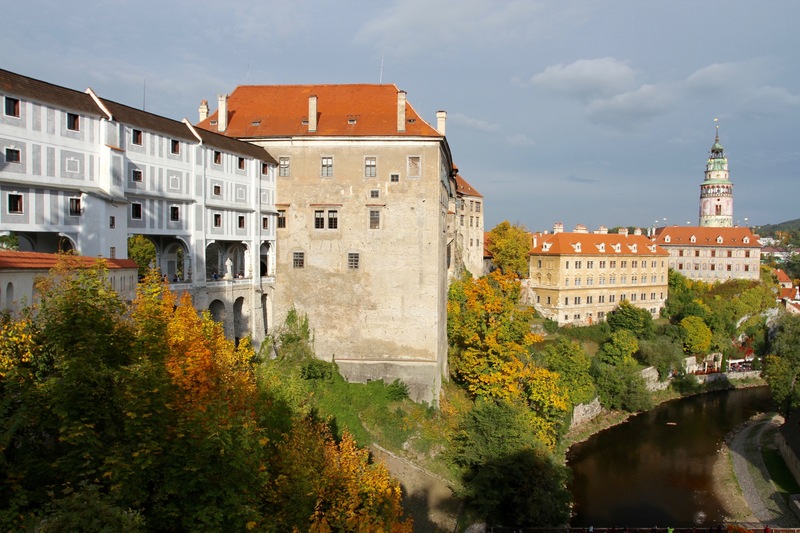 That was the last time he would see the castle of Cesky Krumlov. After the war the Communist authorities claimed it for the nation, a state in which it has remained until the present day. 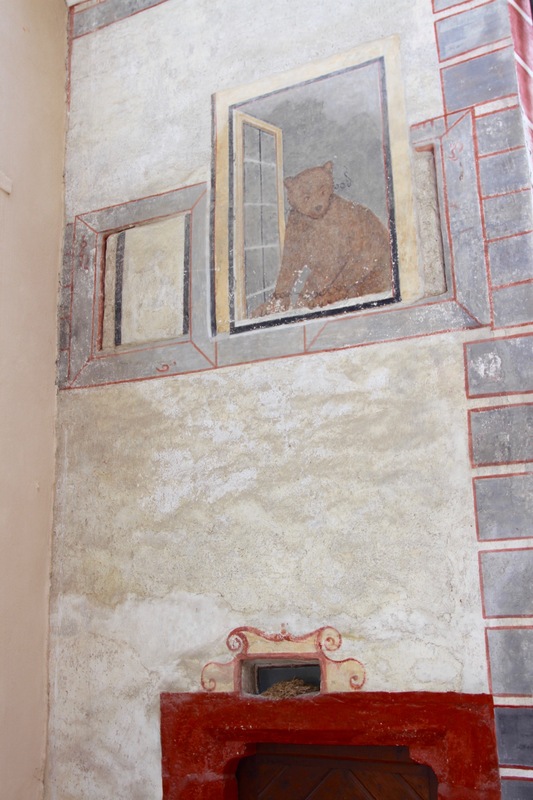 The rooms felt a little in need of maintenance, but the furnishings and personal objects were fascinating. I went for a walk through the lovely gardens before returning to the town. The sun was setting and most day trippers had left for the day. 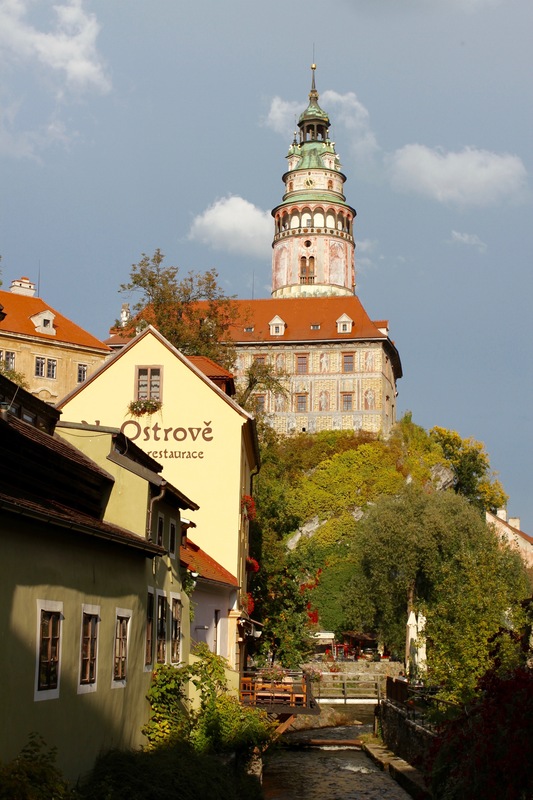 Cesky Krumlov’s deserted medieval streets were impossibly atmospheric. I stopped at one of the bars on the main square and watched the sky turned pink and then the stars come out. After dinner I strolled through empty streets back to my hotel and took in one final view over the town. In the morning I’d be leaving early for Moravia. 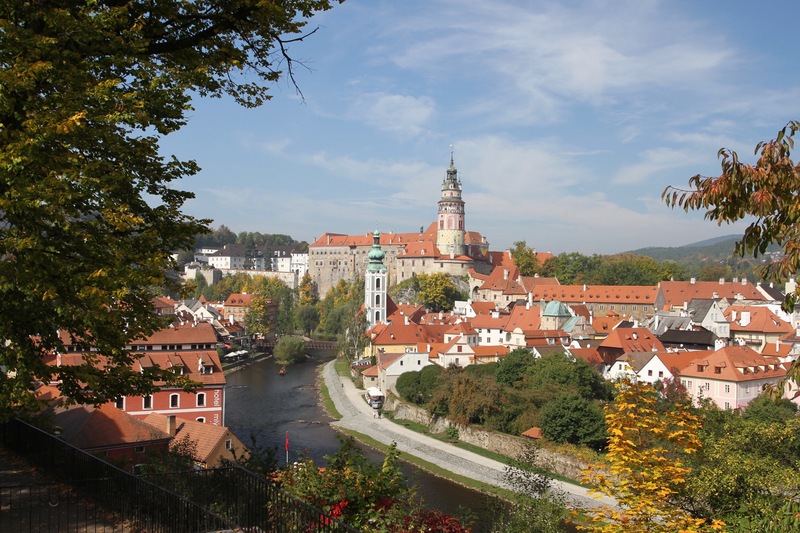 Although it’s definitely on the tourist trail, Cesky Krumlov is a breath of fresh air after experiencing the mass tourism of Prague. 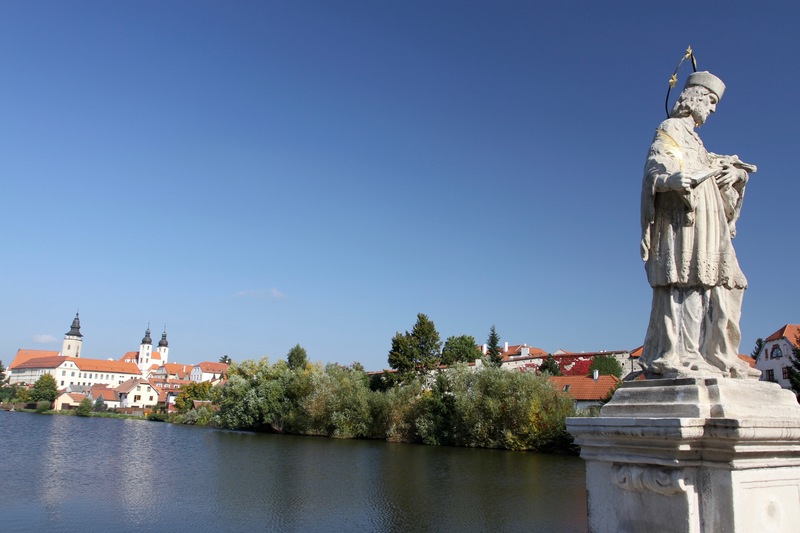 Sitting in the very southern part of Bohemia close to the border with Austria, the Vltava river meanders majestically around this small town on its way towards Prague. 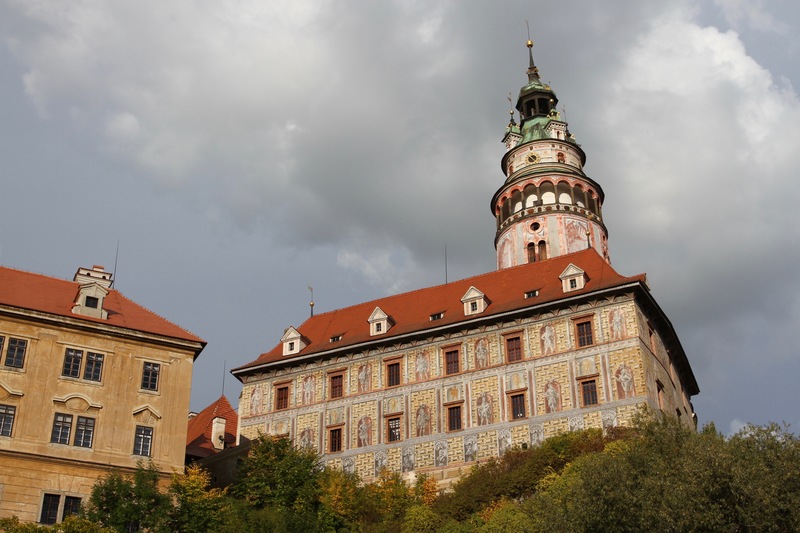 The remarkably well preserved medieval heart of Cesky Krumlov is dominated by a magnificent 13th century castle, and is one of the most picturesque places I’ve ever visited. No wonder UNESCO gave it World Heritage status in 1992. I’d picked up a hire car in Prague and, after battling my way through rush hour traffic, was soon heading south through rolling countryside. 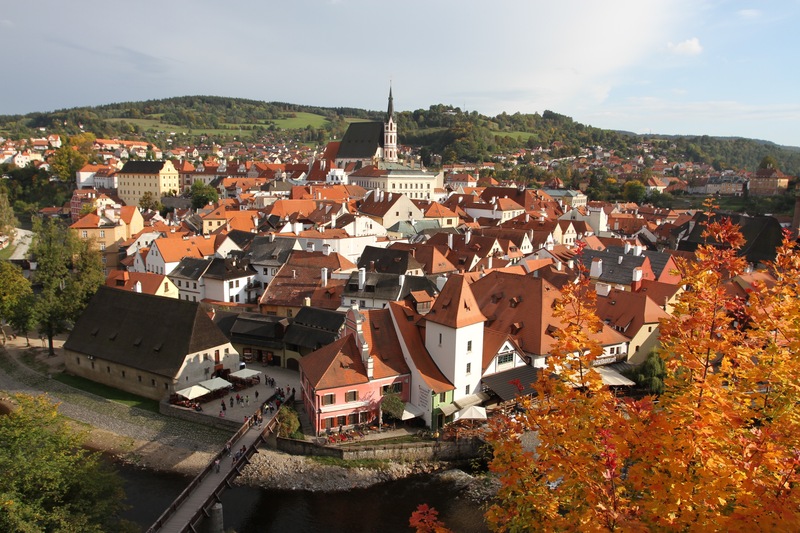 It took about three hours to reach Cesky Krumlov and, as I drove up a hill towards my hotel, I got my first view over the town. That small glimpse was mouth watering. It was still early and I couldn’t wait to start exploring, but first I had to check-in to the hotel. I was staying at the 1st Republic Villa, a small hotel run by a young Czech-New Zealand couple. 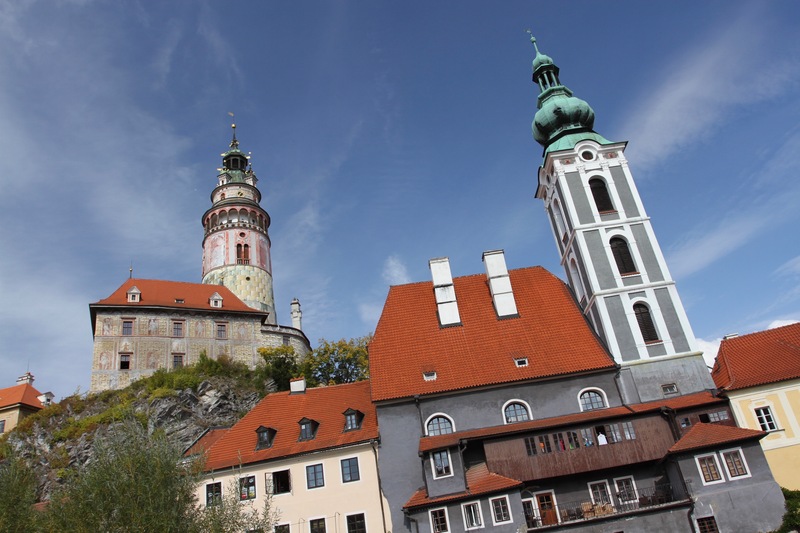 Cesky Krumlov isn’t short of accommodation options, but if you’re visiting I’d recommend this place. 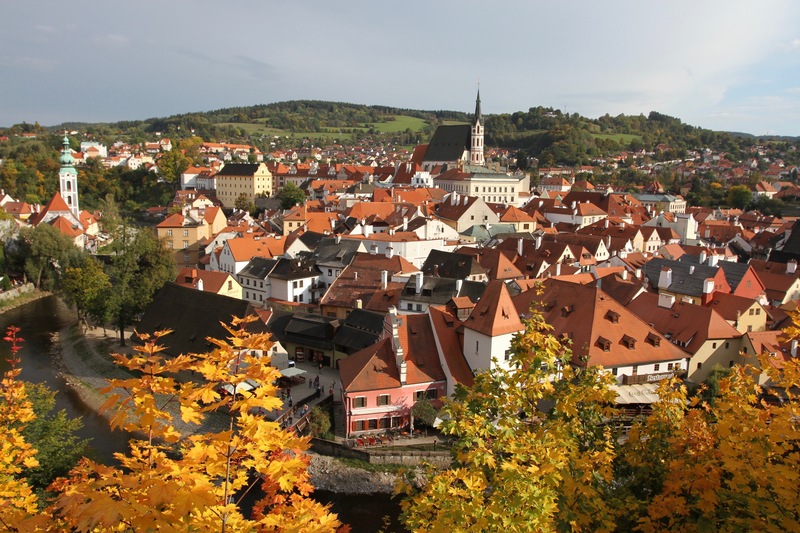 If you do visit and Cesky Krumlov feels vaguely familiar, it might be because you’re a fan of Egon Schiele’s work. The painter’s mother, Marie Soukupova, was born here and he came here to paint. The sexually provocative, explicit eroticism of his work shocked many in cosmopolitan Vienna, in feudal Cesky Krumlov it caused outrage. He painted some very memorable townscapes and typical scenes of daily life, but his ‘degenerate’ lifestyle scandalised the town. Living with his muse and mistress, Walburga Neuzil, was bad enough, but using the town’s teenage girls as models was beyond tolerable. The town’s Egon Schiele Art Centrum is well worth a visit for the permanent exhibition which has a small collection of Schiele’s drawings, watercolours and memorabilia. It doesn’t have many original works by Schiele, but if you like his work it’s worth the €7 entrance fee. Schiele’s paintings and sketches still have the power to shock and, as I set off to explore the town, I was left wondering how explosive his presence in a religious and conservative small-town society in the early 20th century must have been. It was lunch time and it was gloriously sunny. I walked around looking for somewhere to eat and spotted some people sat alongside the river. Down a cobbled street I found the entrance to U Dwau Maryi, The Two Marys, which not only had spectacular views towards the castle but also served up the tastiest food I had during my entire trip. 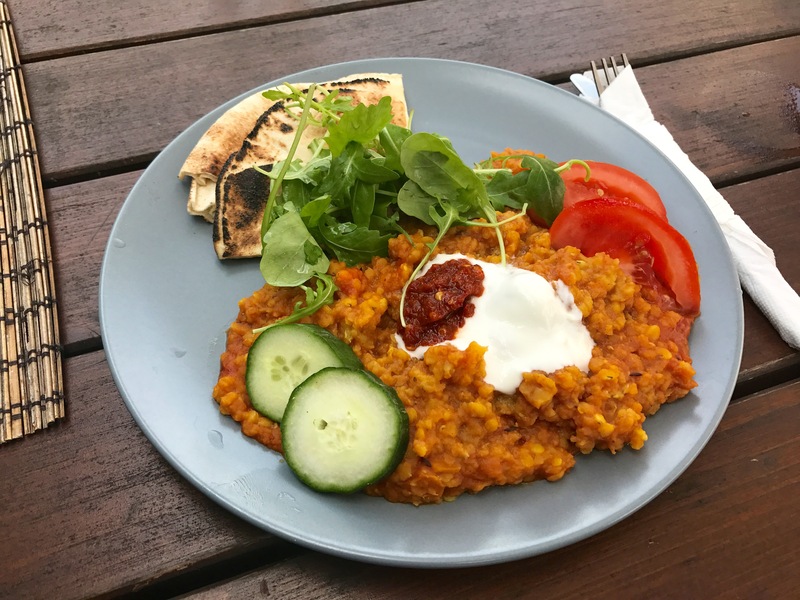 The spicy lentils with salad and flatbread came without a single hunk of pork or any dumplings, something of a novelty in the Czech Republic. Thankfully, it still went well with the local dark beer. From my riverside table I was able to watch the flow of day tripping tour groups from Prague and across the border in Austria passing over Lazebnický most, the bridge that connects the town with the castle. There seemed to be a lot of people heading to the castle (this is the second most visited town in the Czech Republic after all). 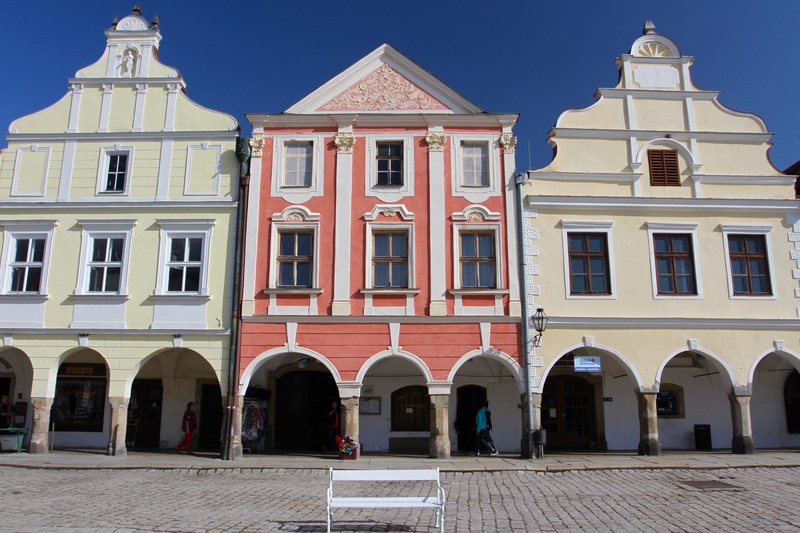 I decided to spend a couple of hours wandering the town’s cobbled streets in the hope that most people would be heading home by the time I visited in the late afternoon.